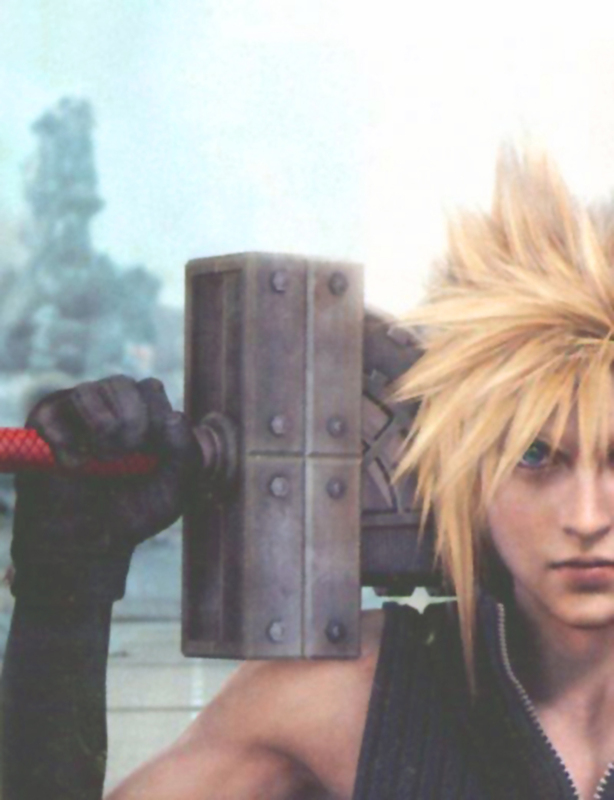 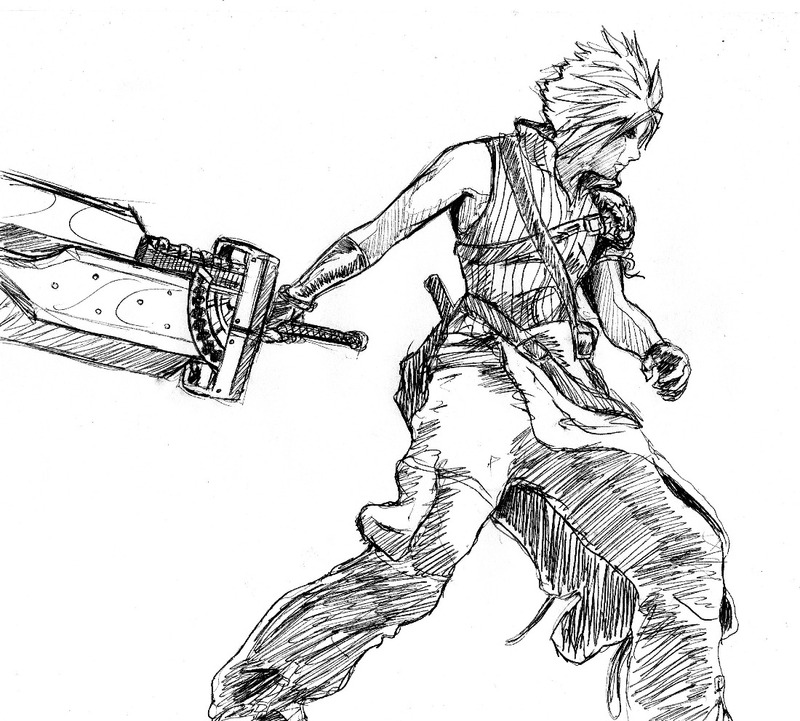 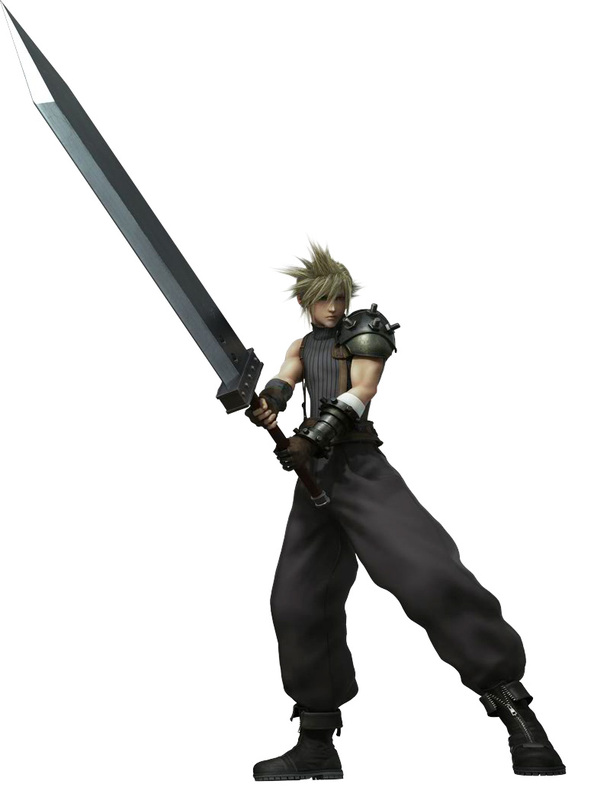 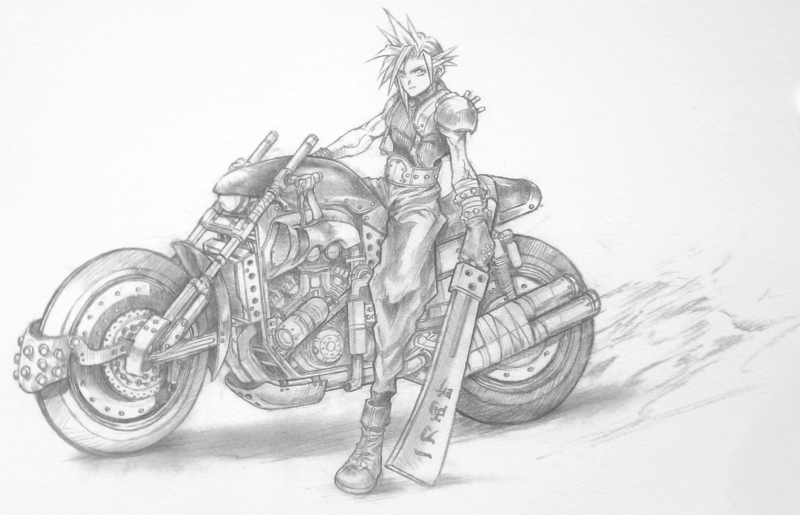 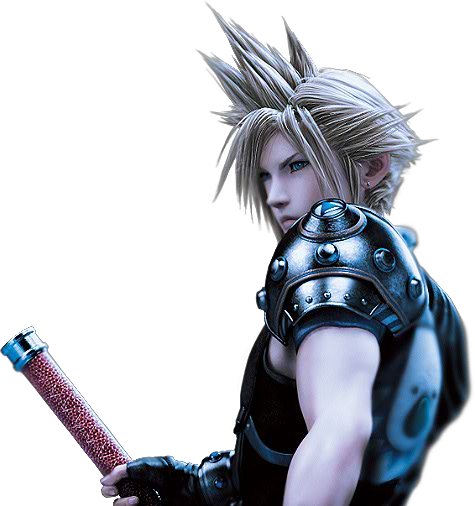 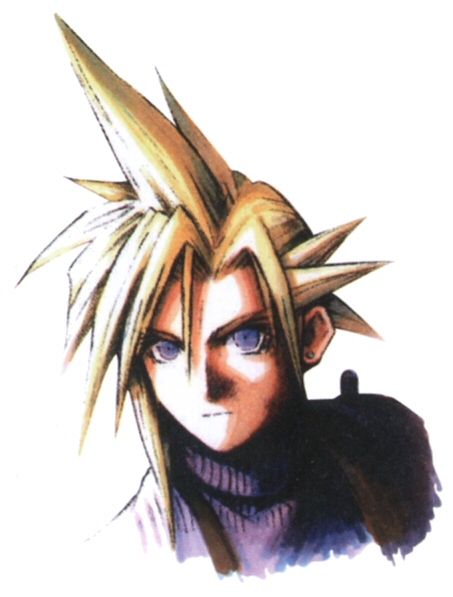 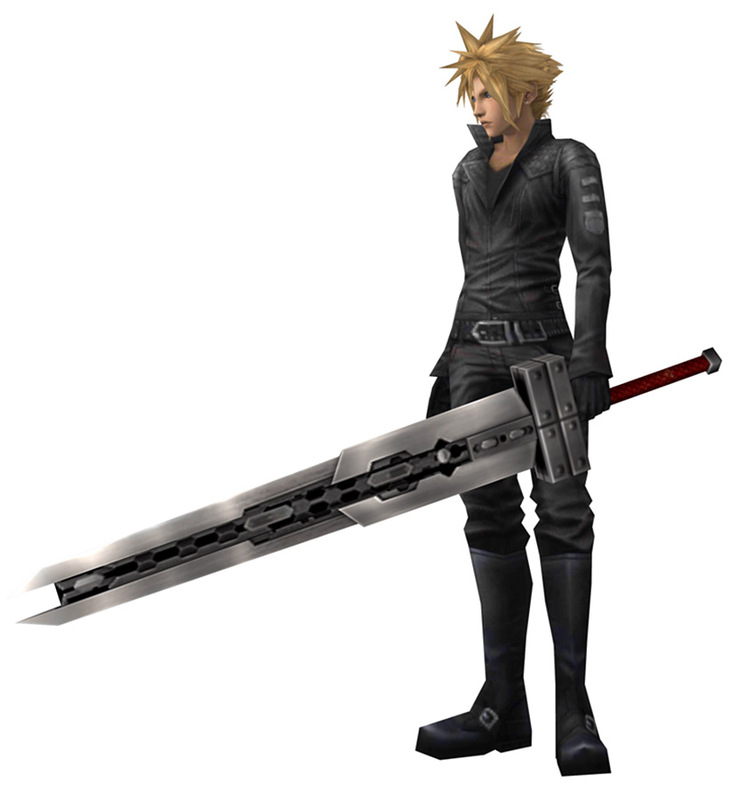 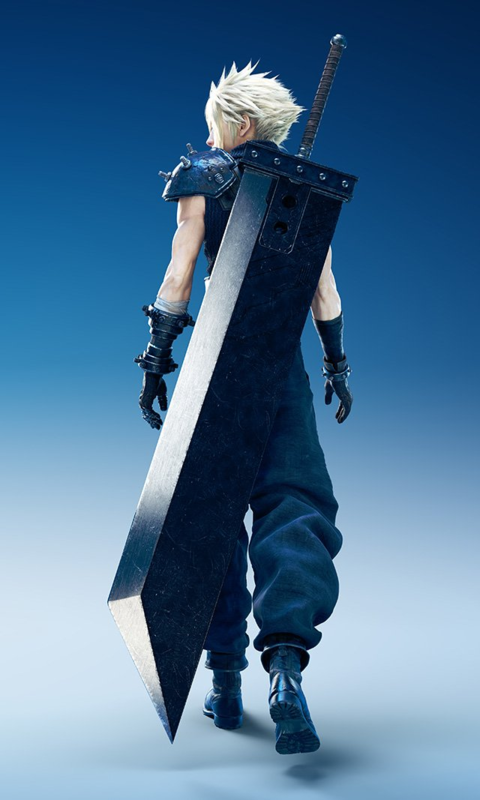 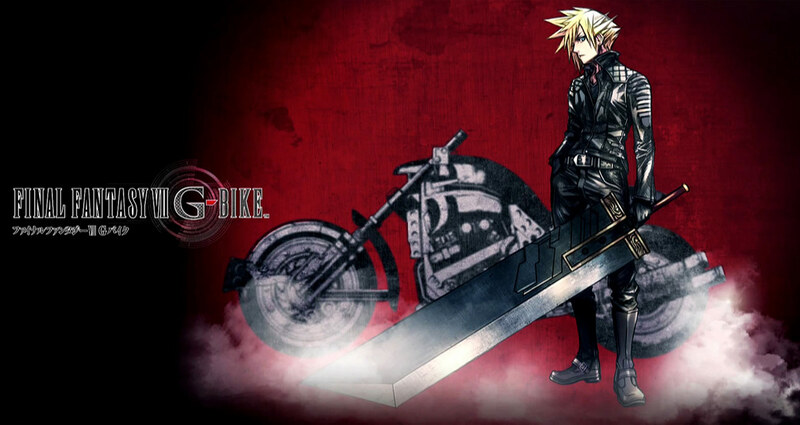 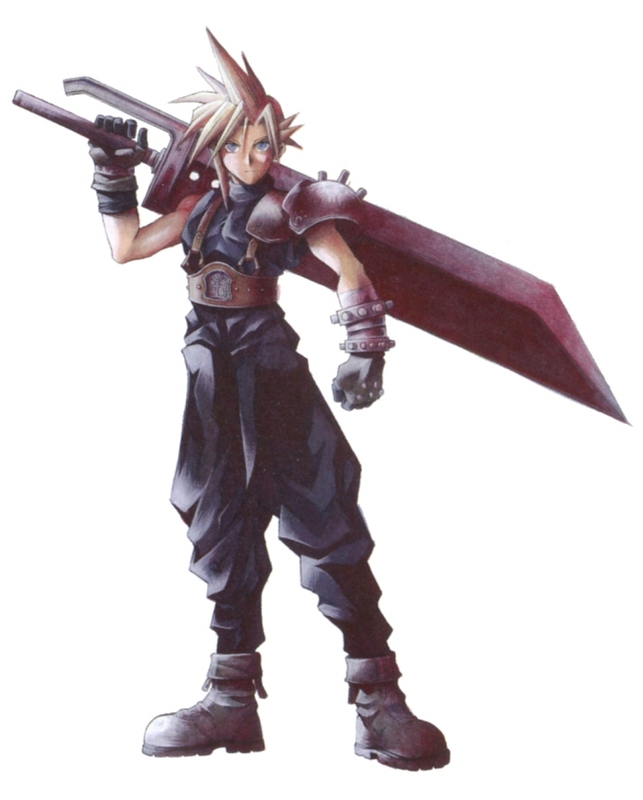 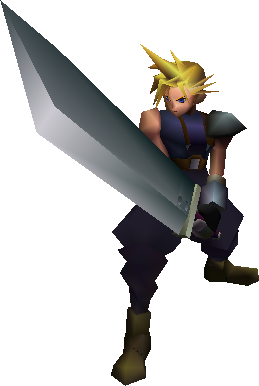 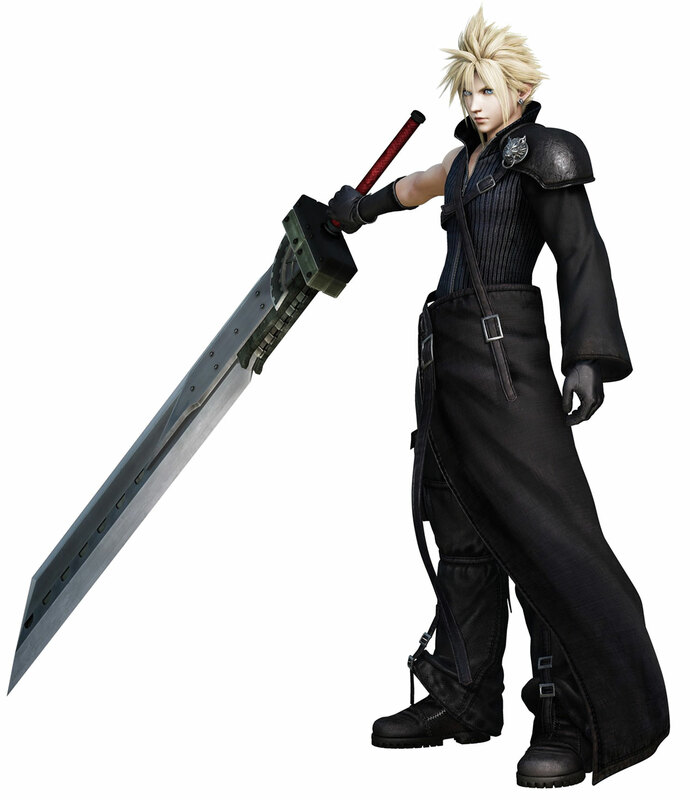 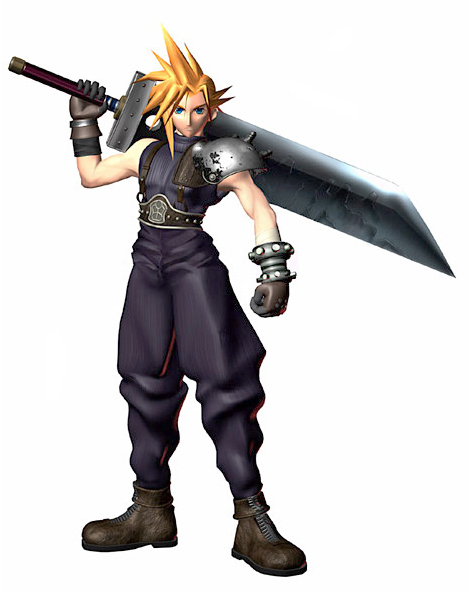 Cloud is the main protagonist of Final Fantasy VII. 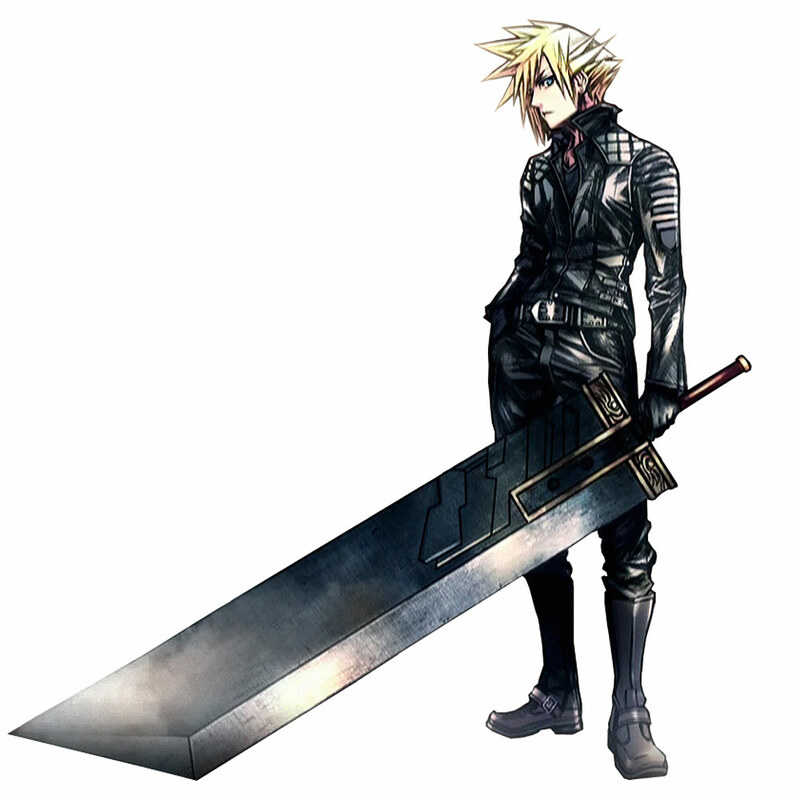 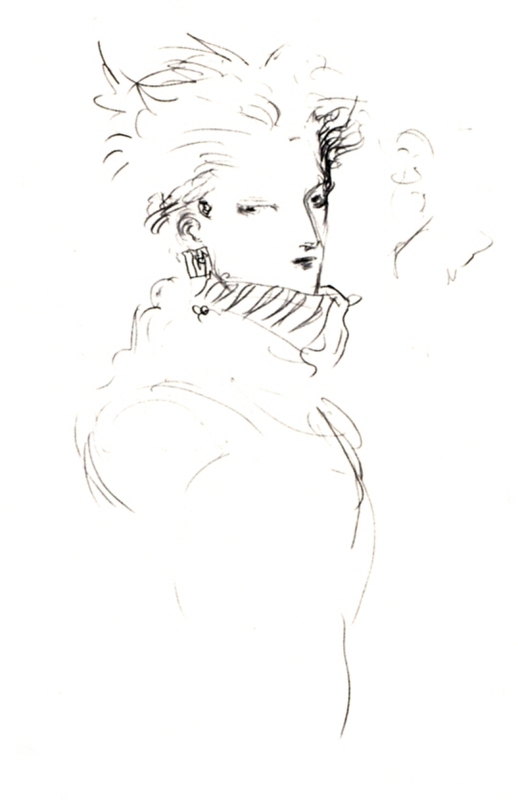 He is introduced as a mercenary and former member of SOLDIER. 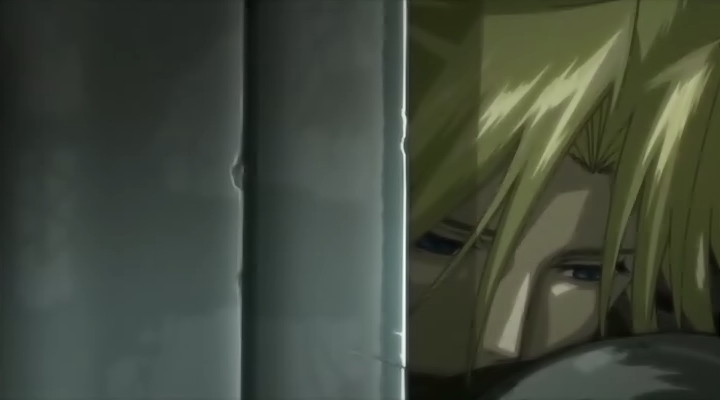 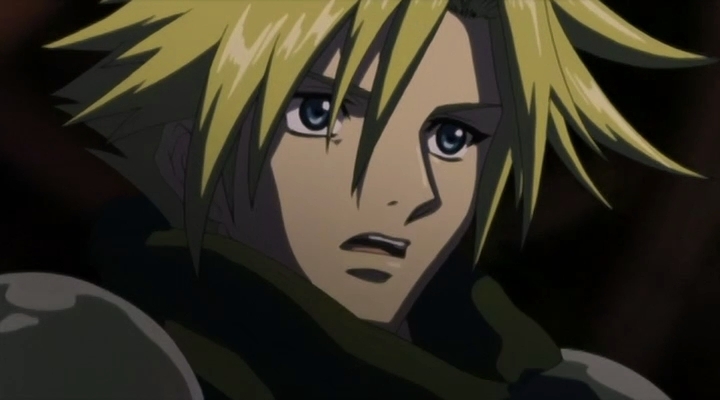 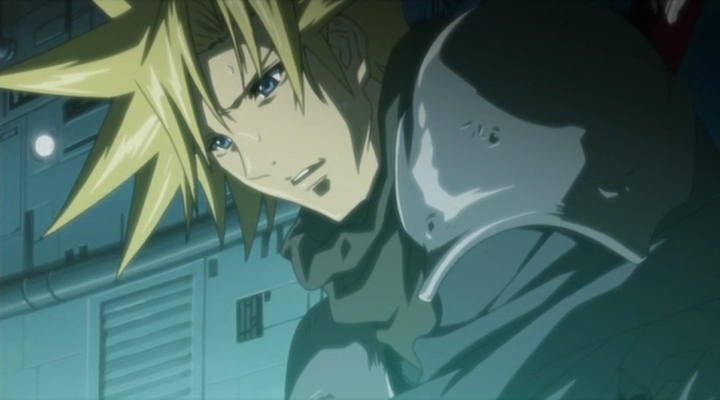 During a mission in which he worked with the anti-Shinra organization AVALANCHE, he encounters a young woman by the name of Aerith Gainsborough, who is wanted by the Turks. 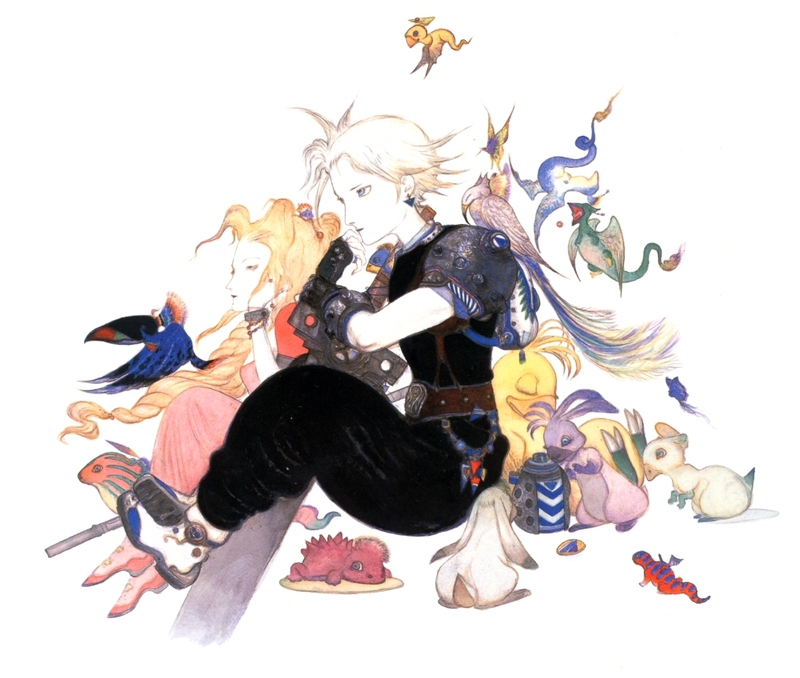 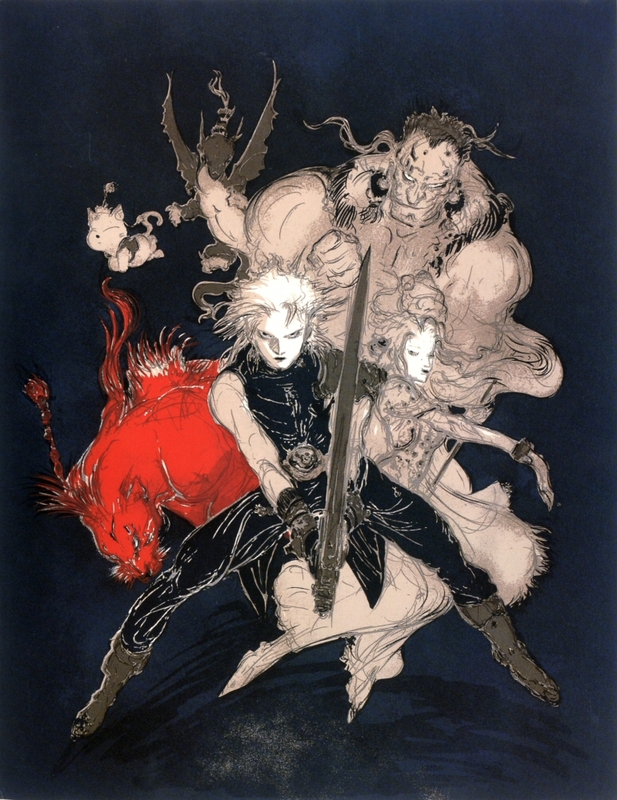 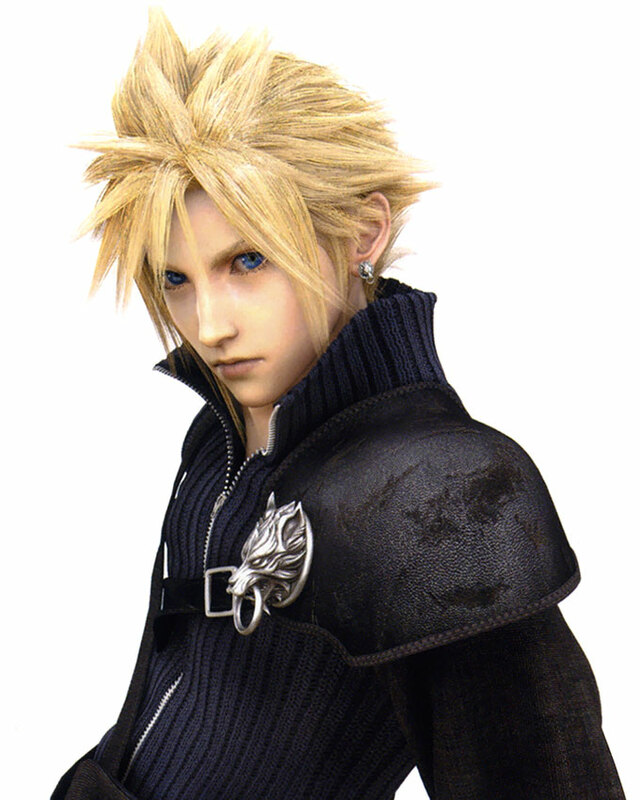 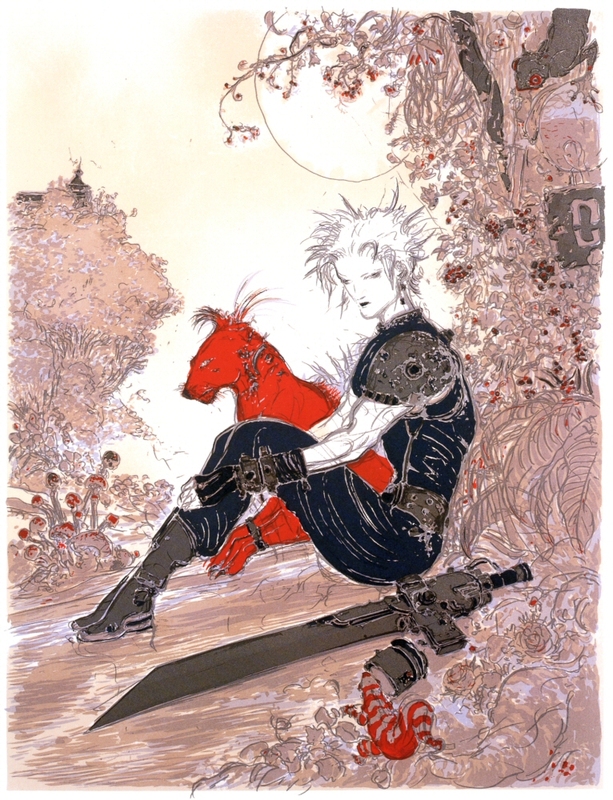 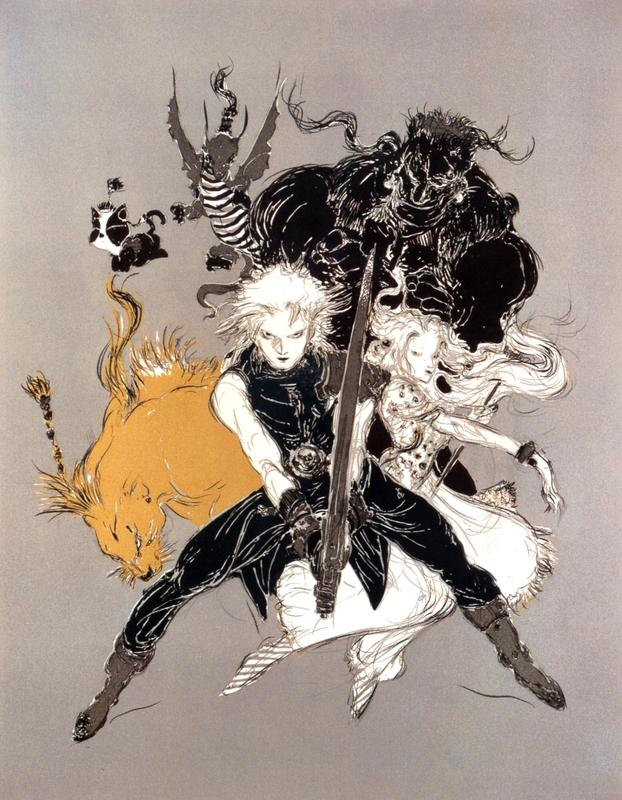 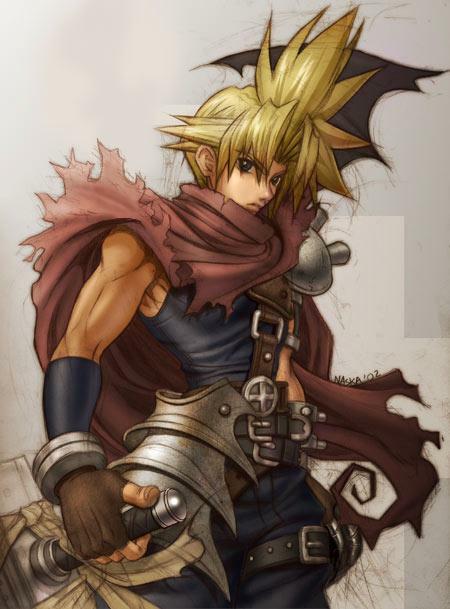 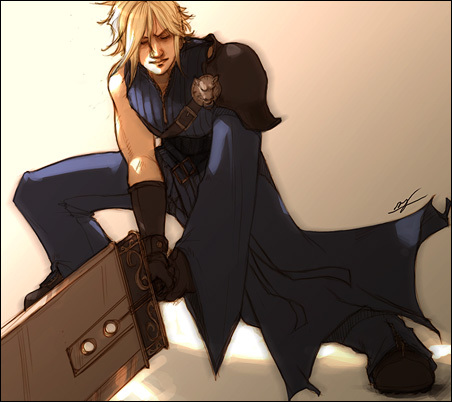 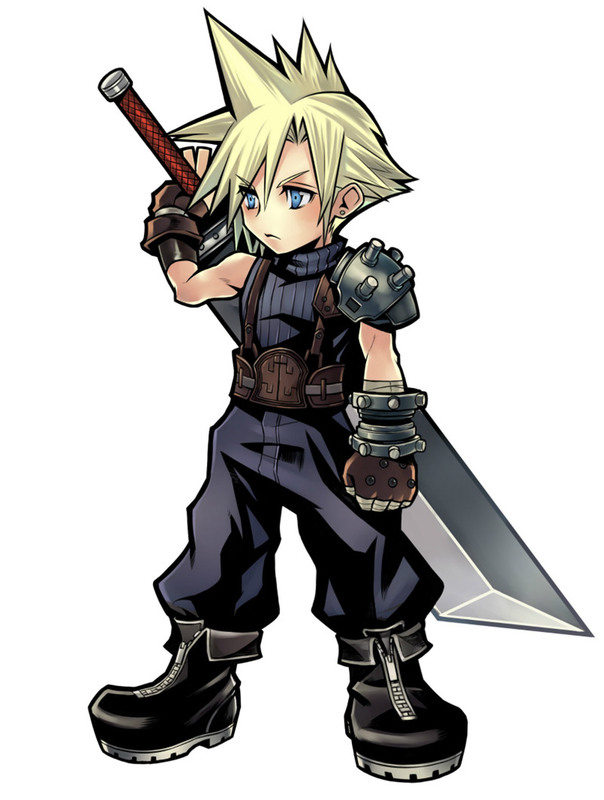 Cloud was born in the sleepy mountain village of Nibelheim, along with Tifa Lockhart. 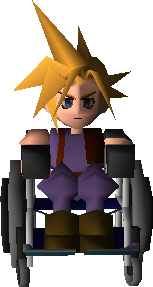 He grew up isolated from the rest of the village children. 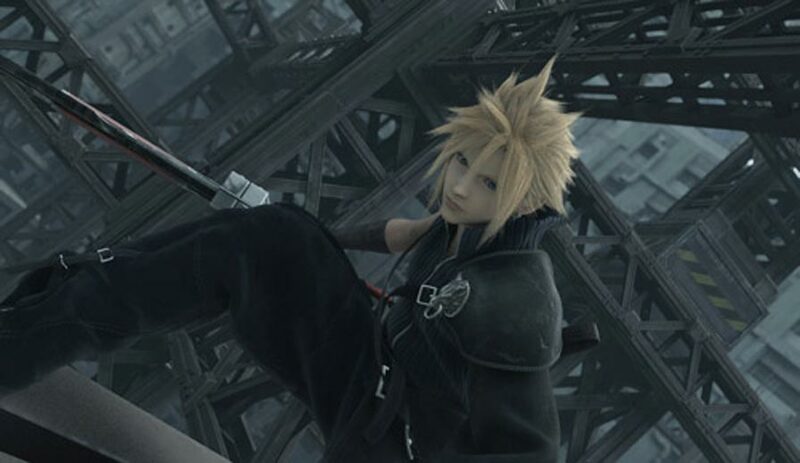 However, when Tifa and the others attempted to climb Mt. 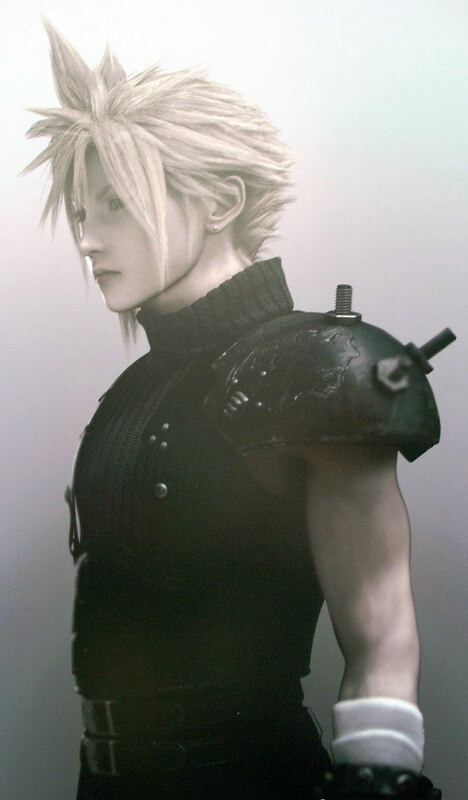 Nibel, Cloud followed them, Tifa fell from a bridge and her father blamed Cloud. 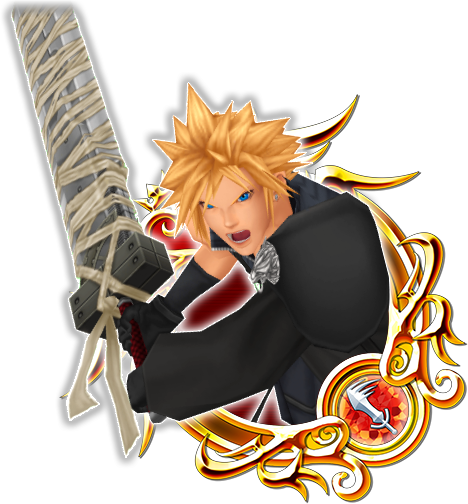 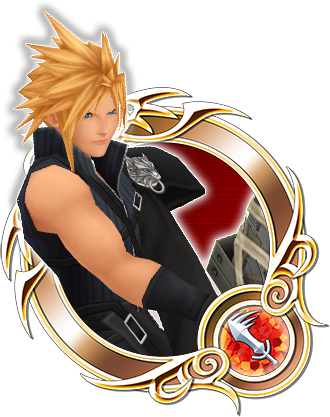 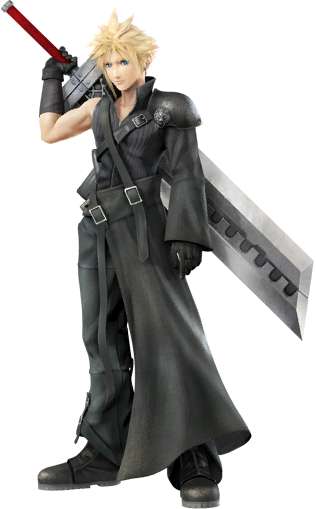 He resolved to join ShinRa's elite SOLDIER force, hoping to prove to the others that he could be as strong as the well-known SOLDIER 1st Class Sephiroth. 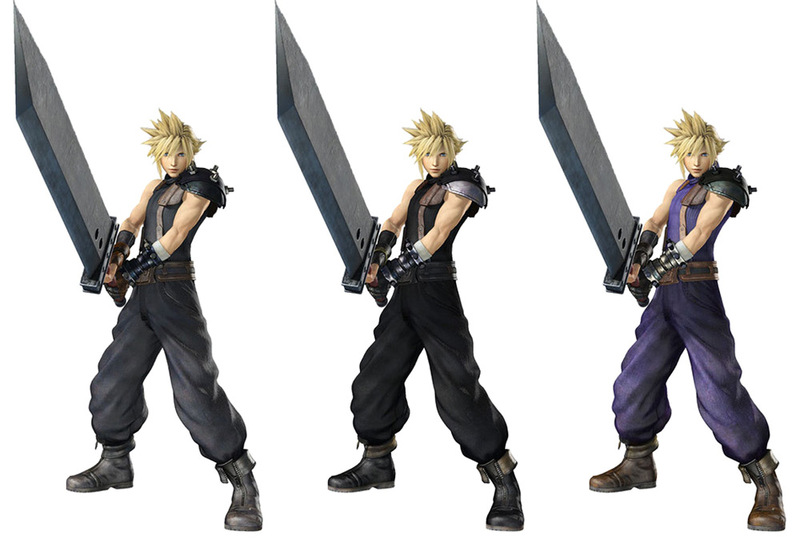 Early in the game, however, Cloud's past is a mystery. 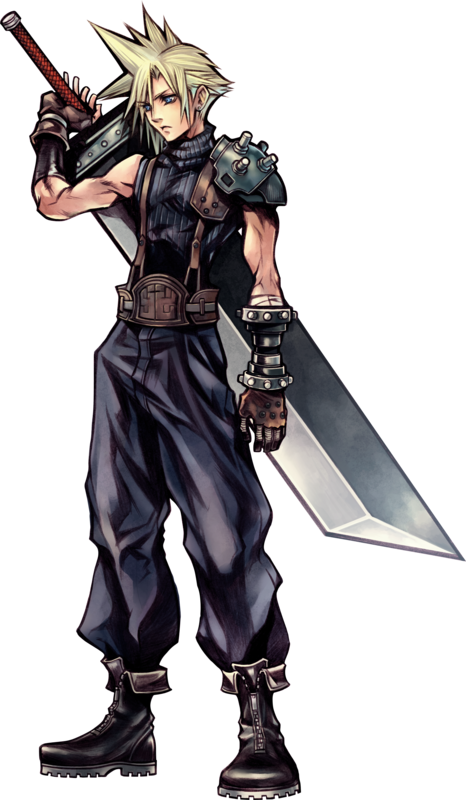 He claimed that he was in the village of Nibelheim when Sephiroth went berserk and massacred the local population. 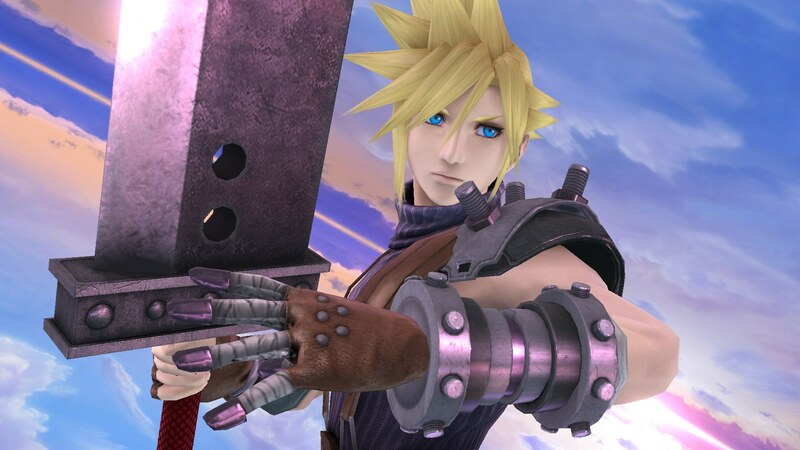 After finding Tifa wounded, Cloud confronts Sephiroth. 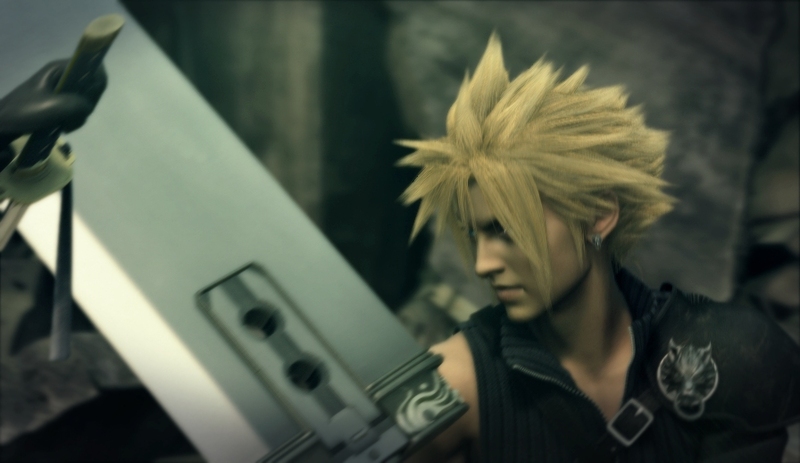 Yet, when examined closely, Cloud's memories of these events and others are filled with empty plot-holes that prevent them from making sense. 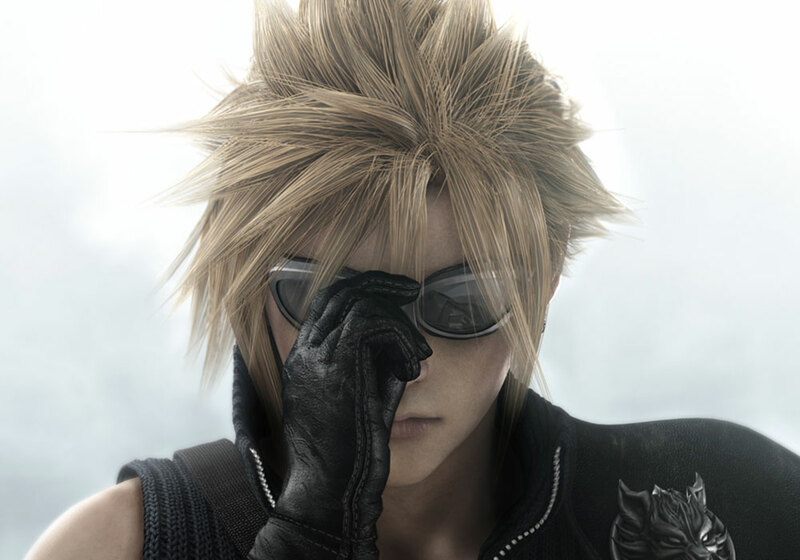 It all comes together later in the game. 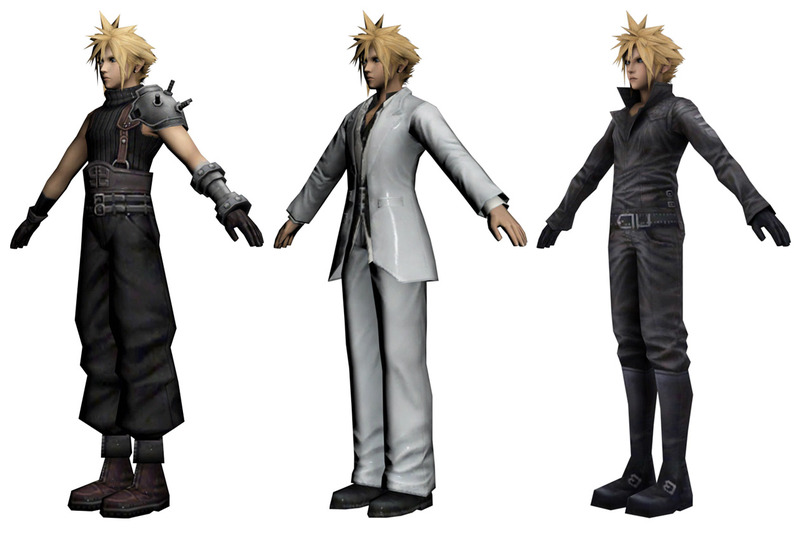 As it turns out, Cloud suffers from a mixture of amnesia and mind control. 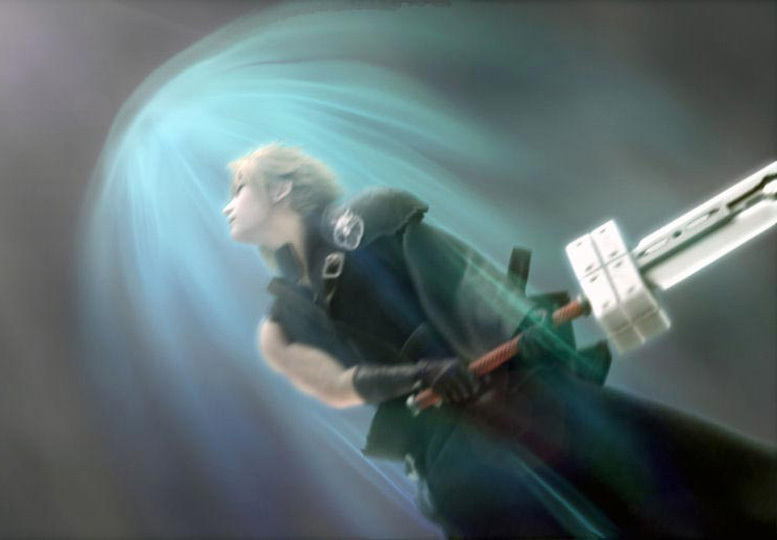 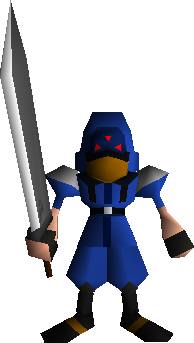 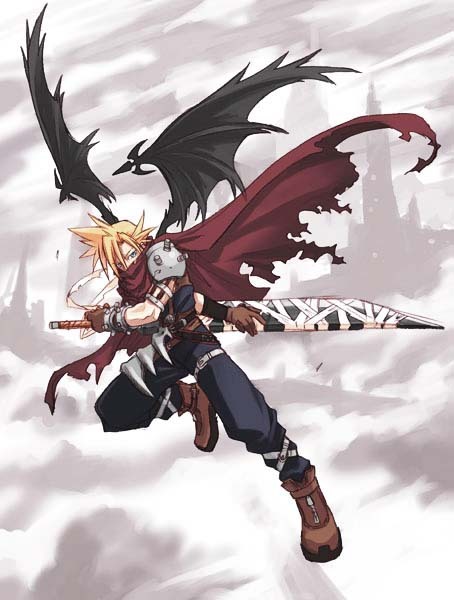 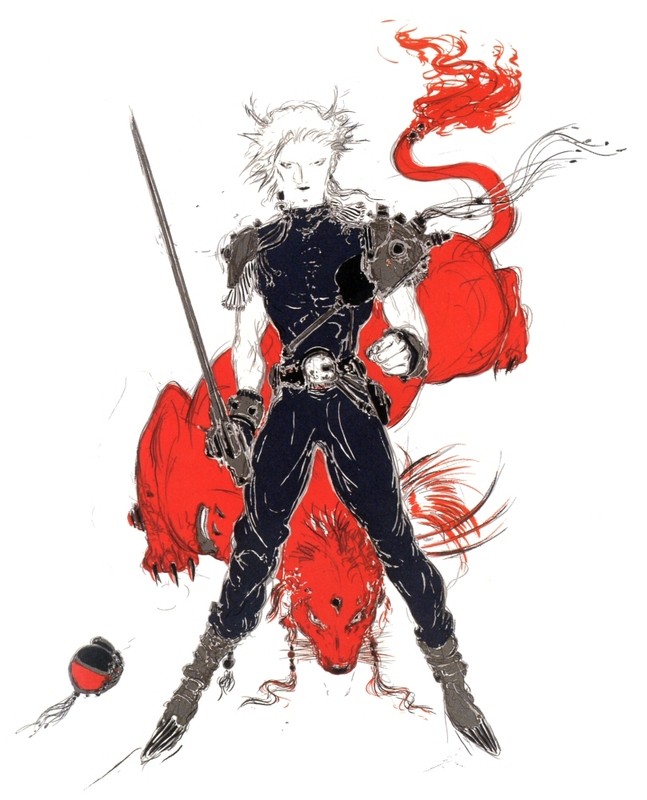 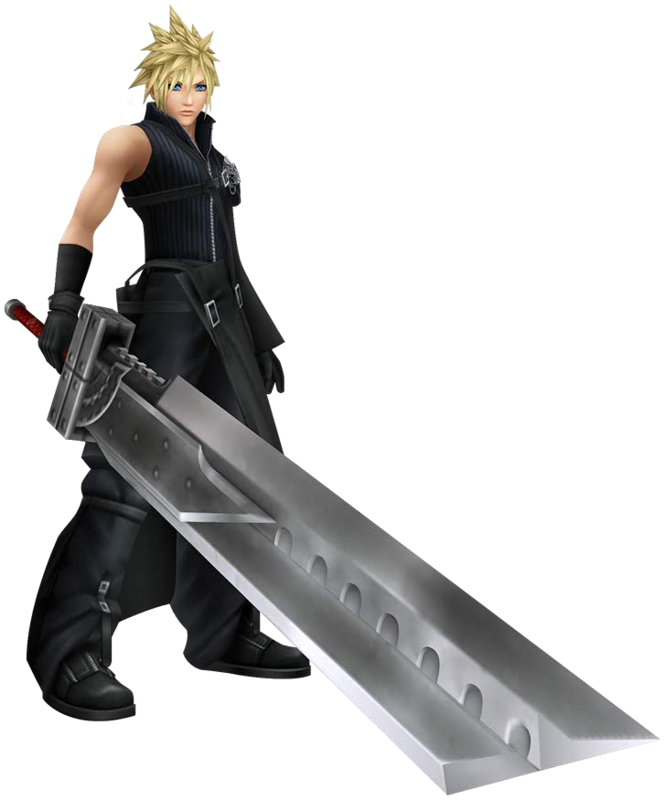 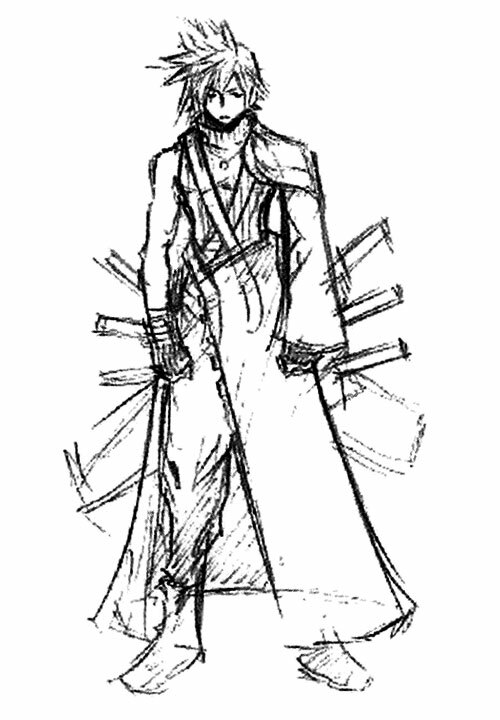 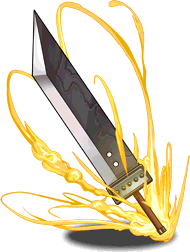 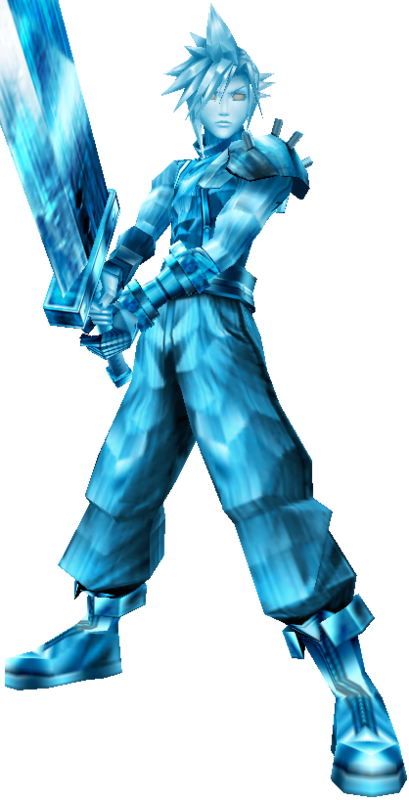 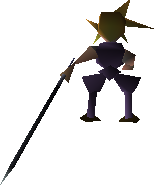 Although he had been in Nibelheim during Sephiroth's rampage, he was not there as a top ranking member of SOLDIER, but a regular ShinRa arm guard under the command of both Sephiroth and another man named Zack Fair. 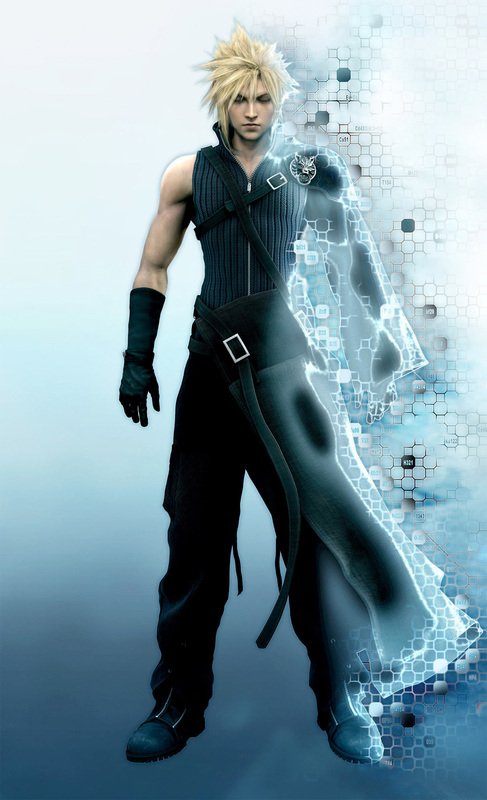 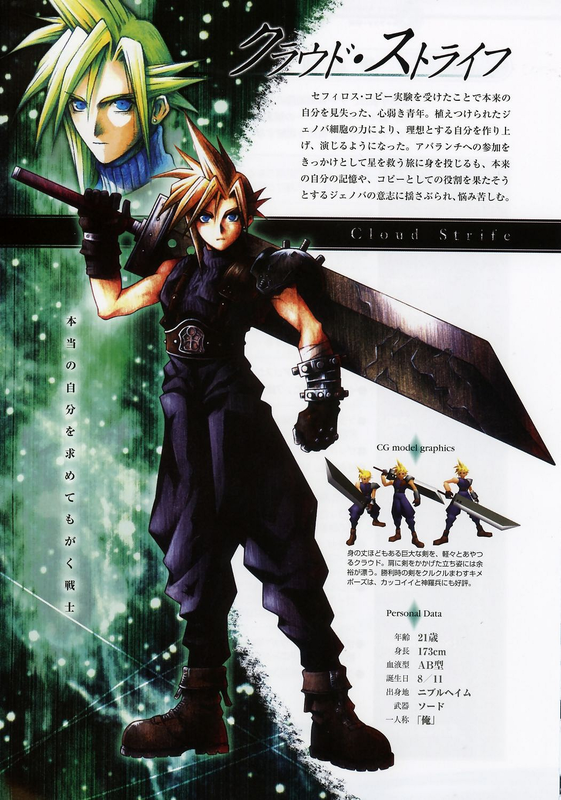 Following the incident, Cloud and Zack were captured by ShinRa and experimented on with Jenova cells for several years. 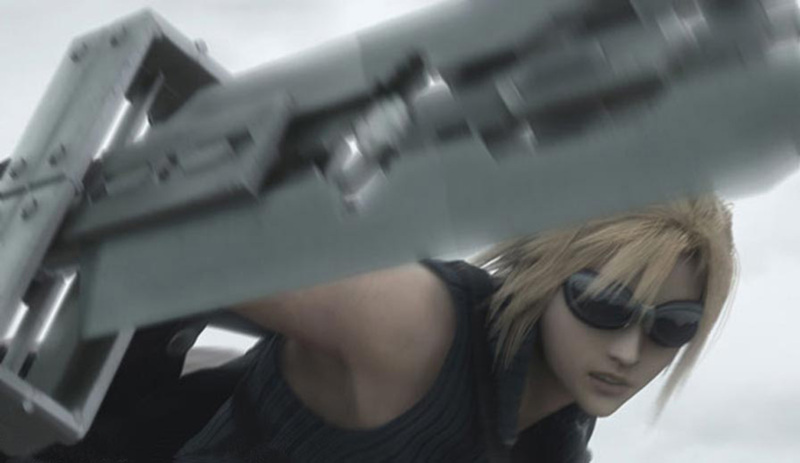 The two escaped but were chased down. 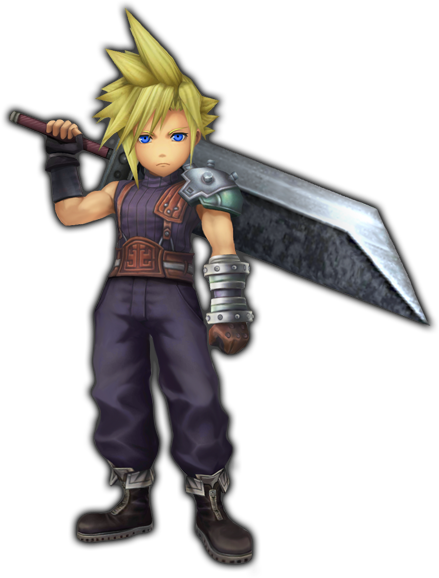 Zack was killed after trying to protect Cloud from the many Shinra foot soldiers, Cloud crawls to Zack a few minutes before he dies. 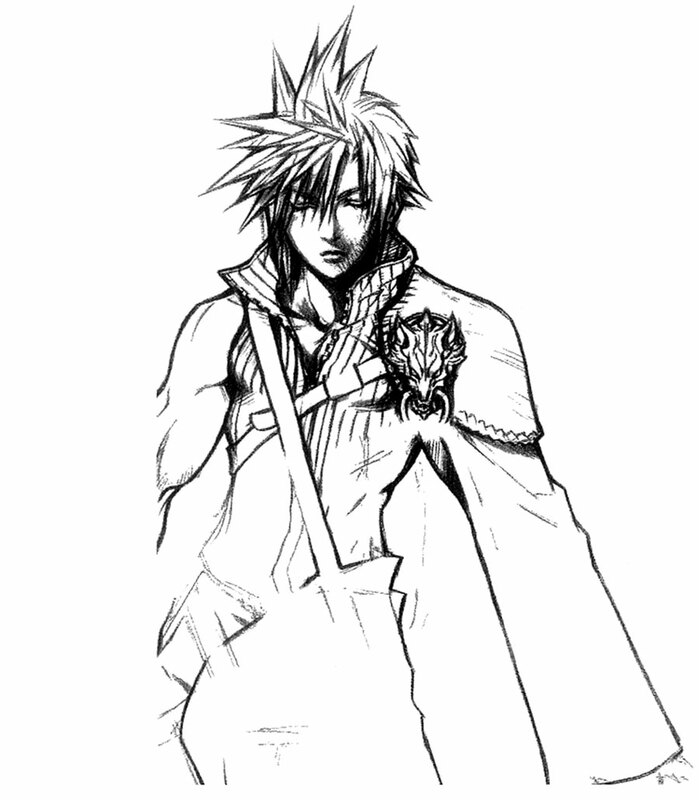 Zack barely states "On my behalf... You will.. continue living. 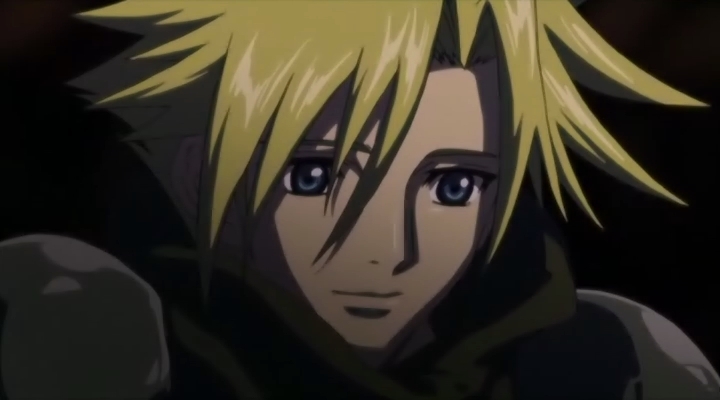 You are proof that I existed. 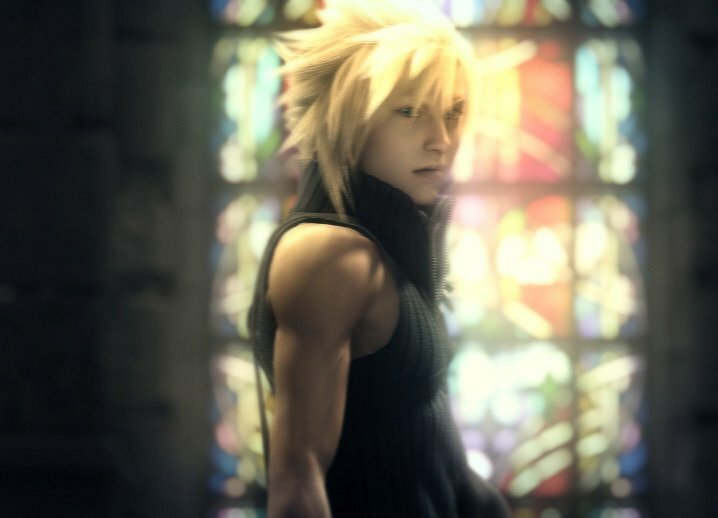 My dreams and pride, I give it all to you." 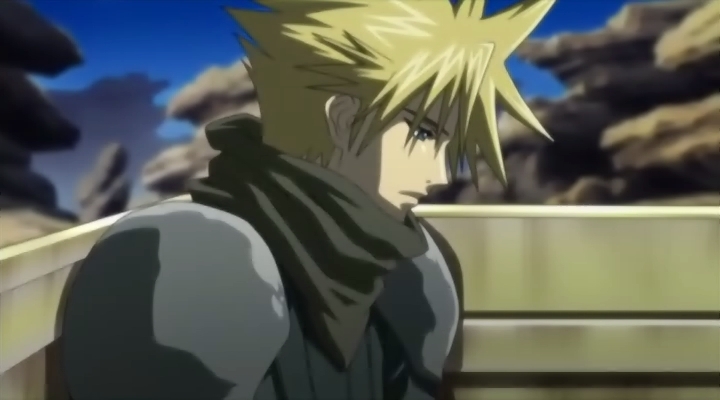 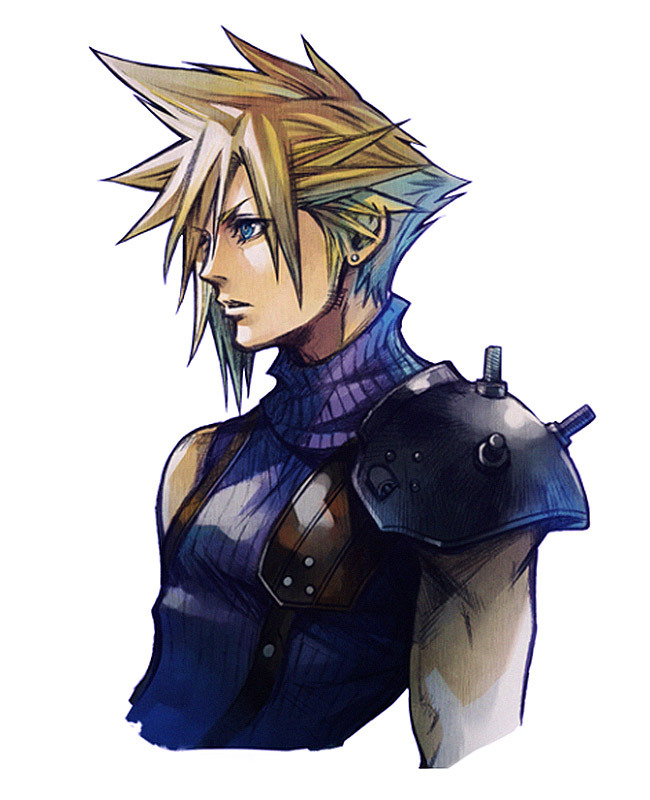 to Cloud who answers " I am proof that you existed. " 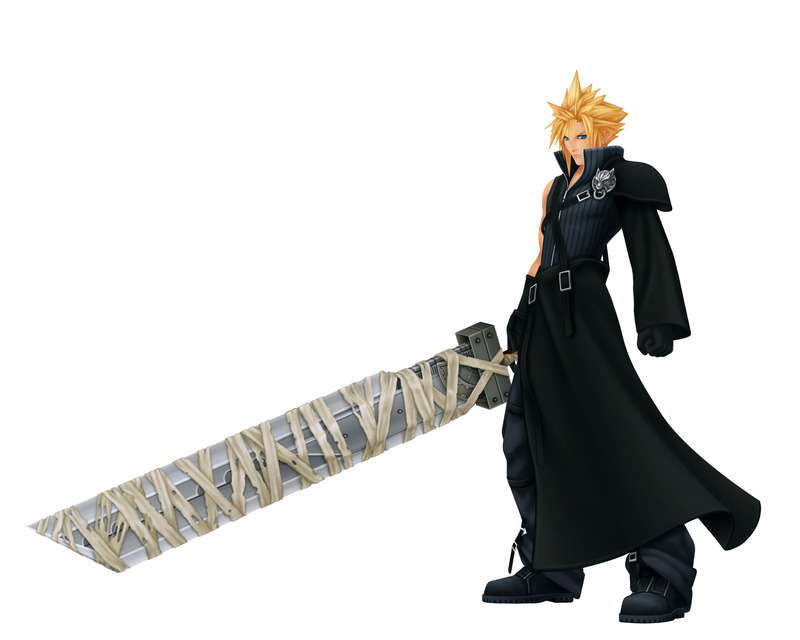 showing the two's relationship. 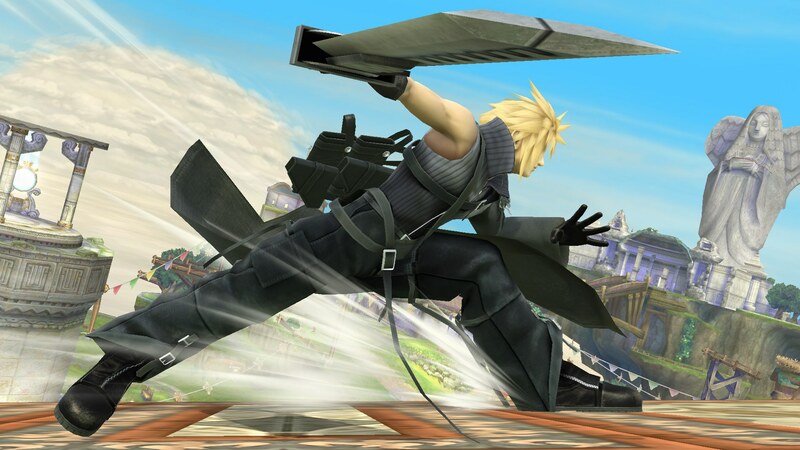 Cloud leaves in a stupor, then is again seen on a train (just like Zack in the beginning of Crisis Core) where he says, "I'm Cloud Strife. 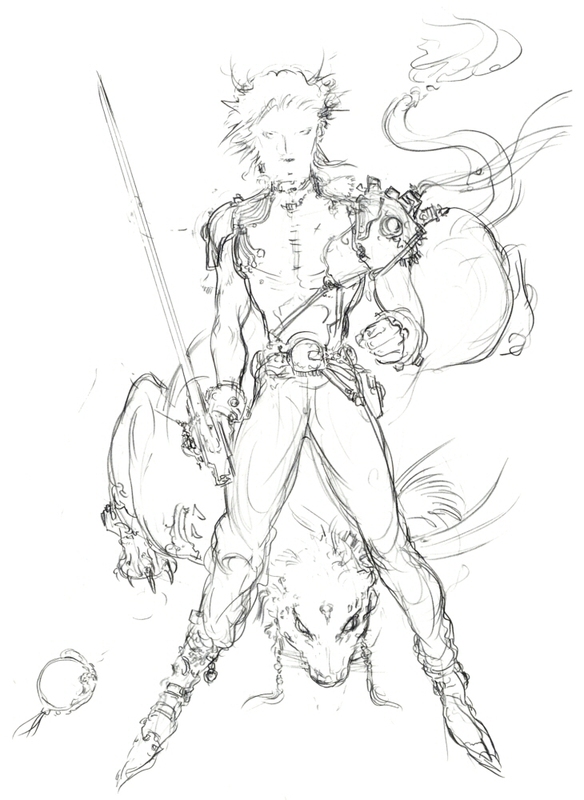 SOLDIER 1st Class. 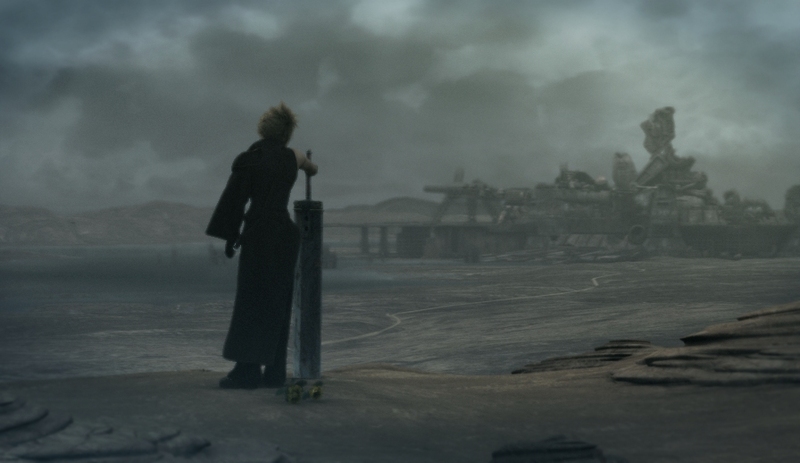 ", this is where they leave off for Final Fantasy VII to begin. 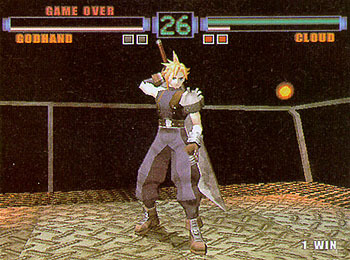 In Final Fantasy VII, Vincent and Yuffie become his comrades if the player makes the right choices. 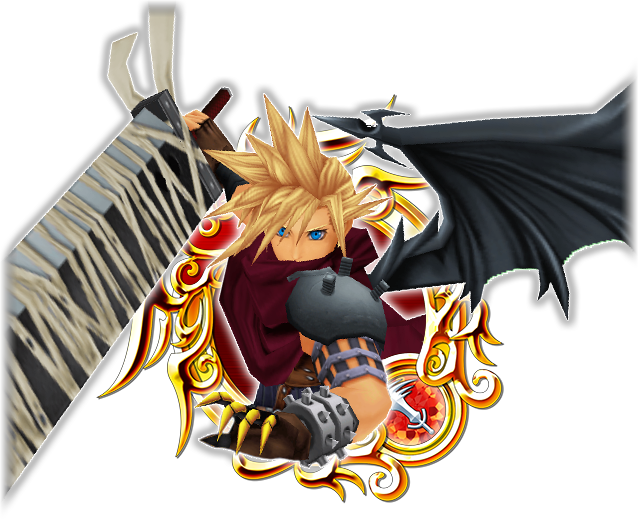 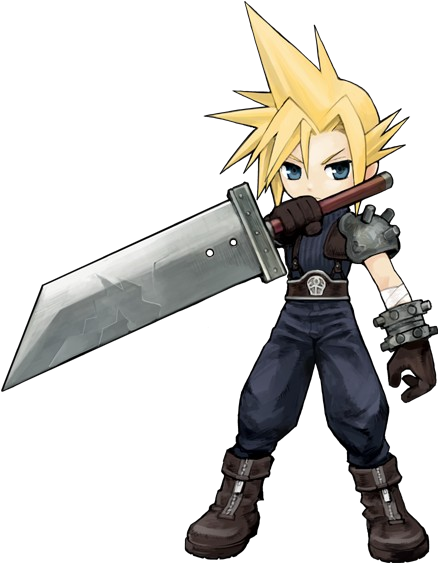 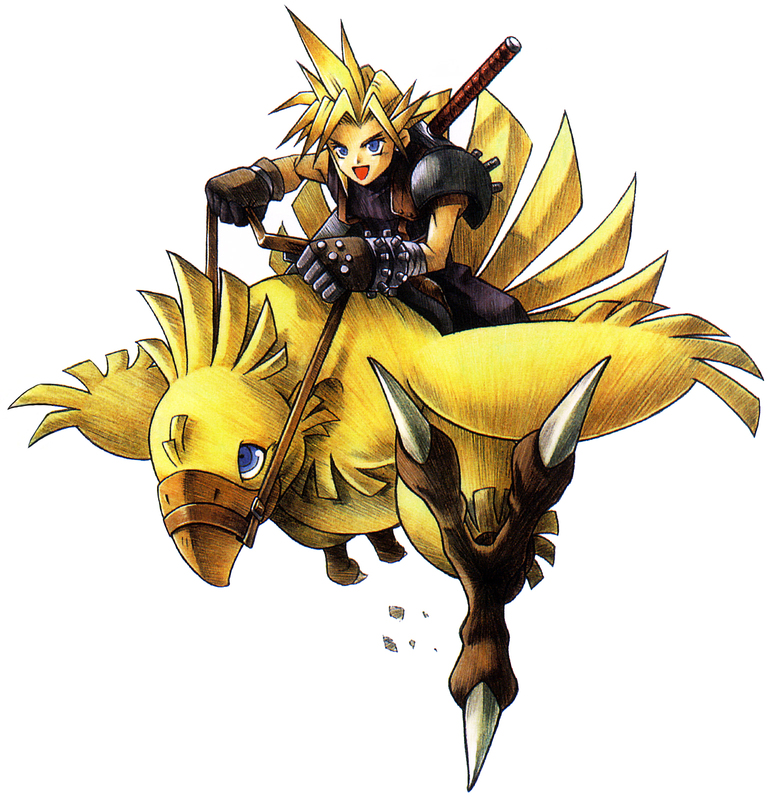 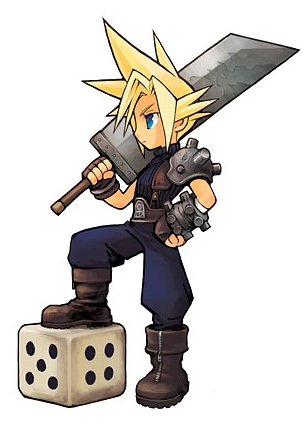 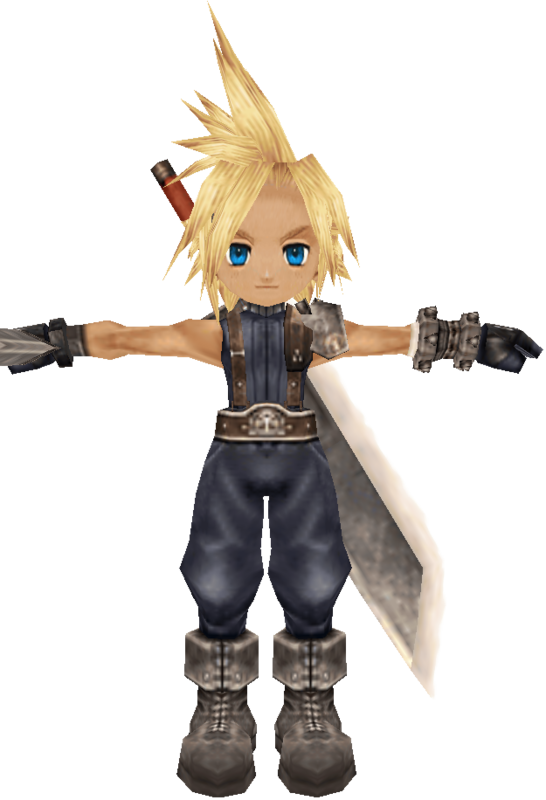 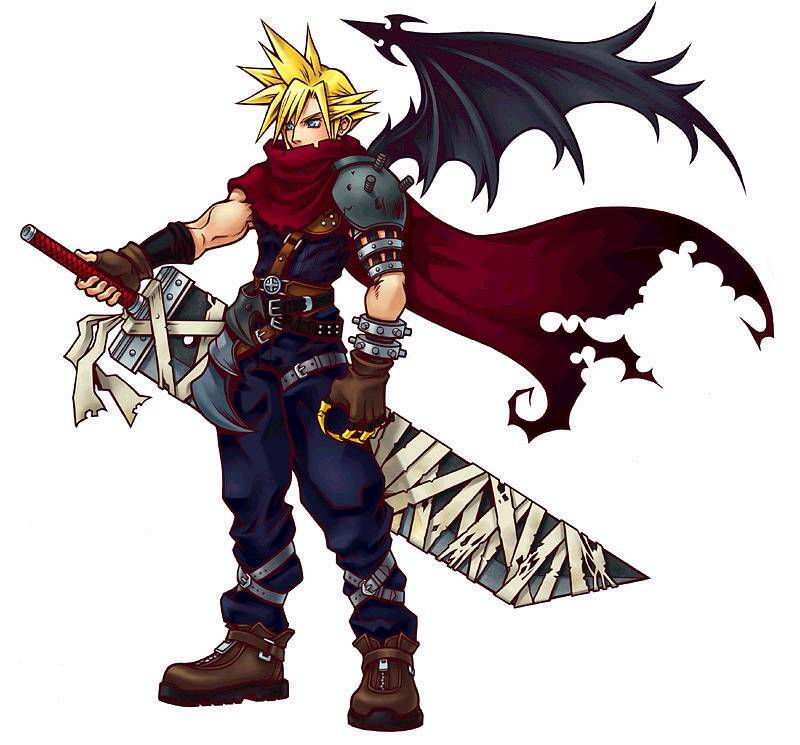 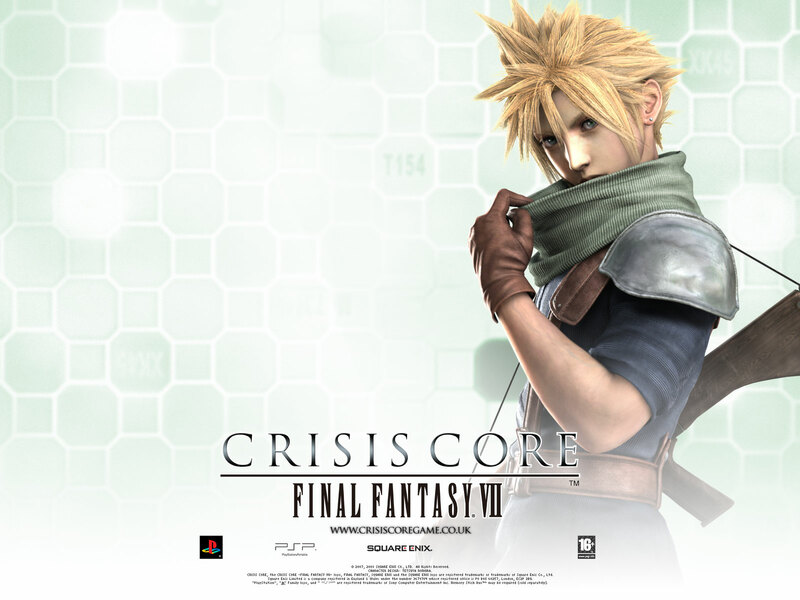 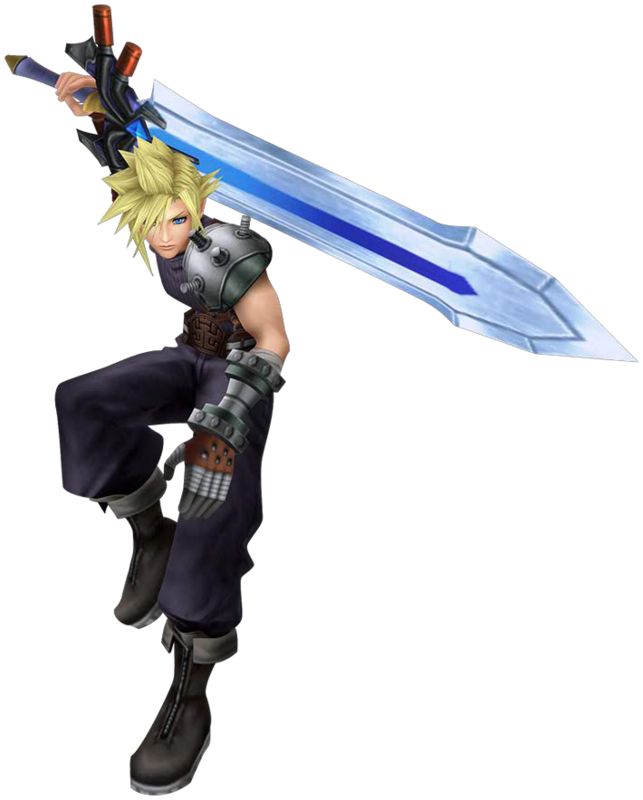 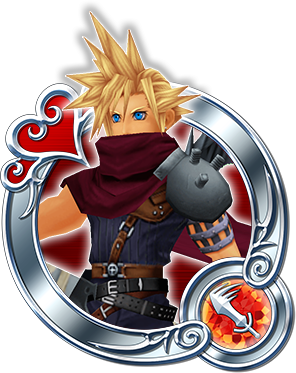 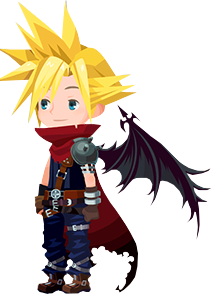 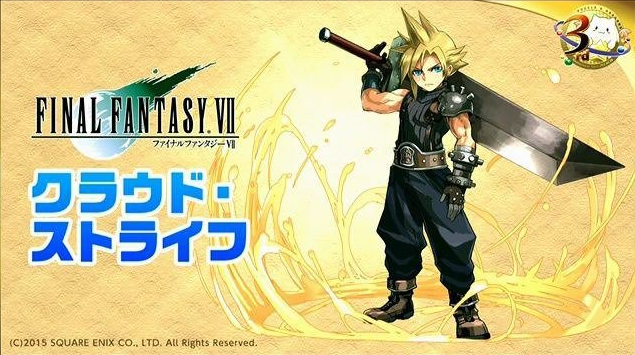 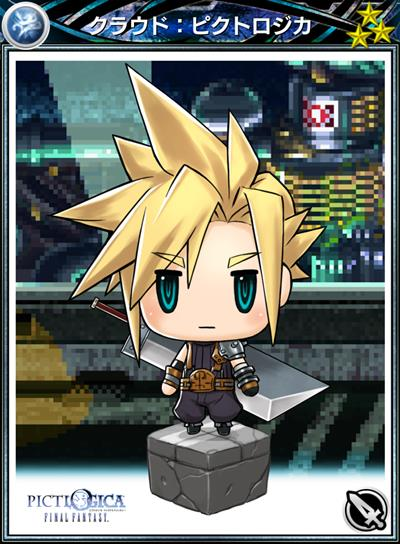 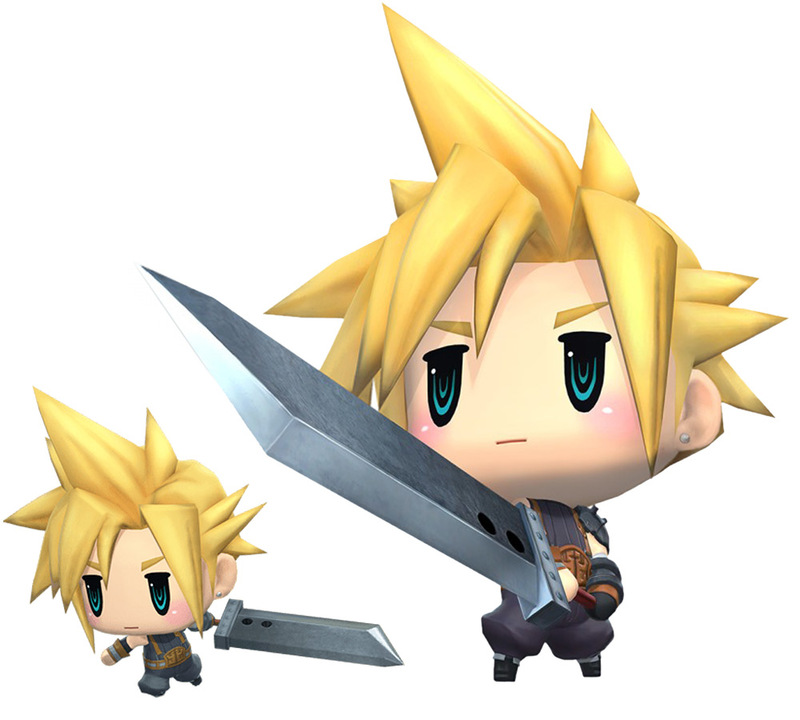 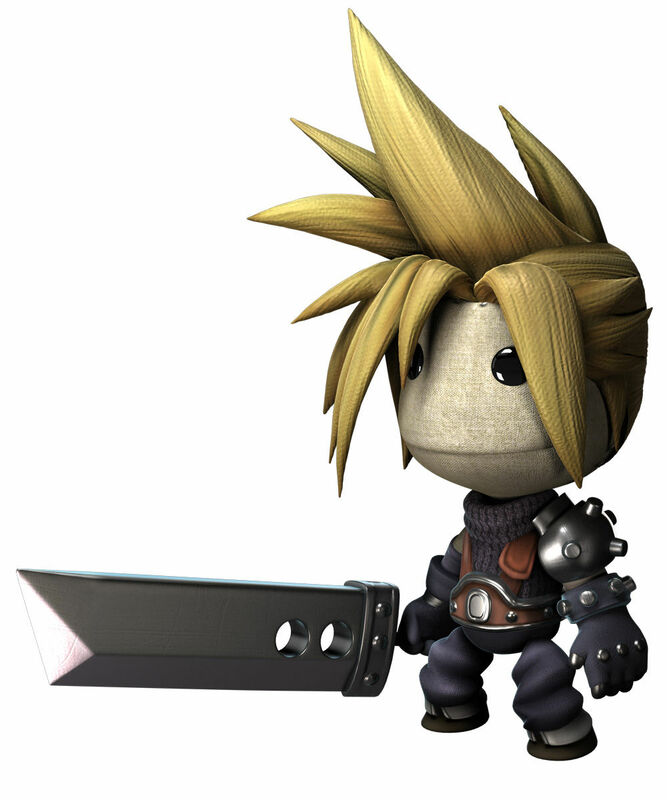 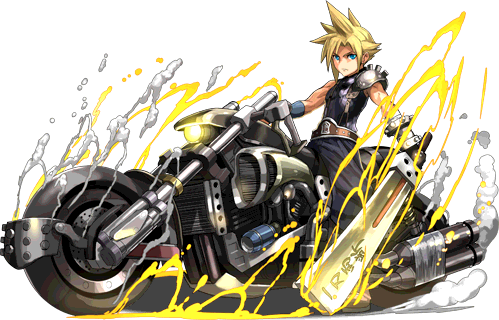 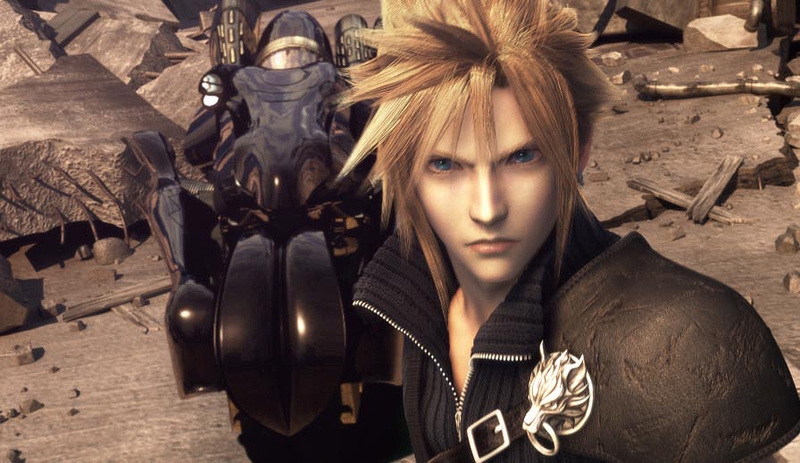 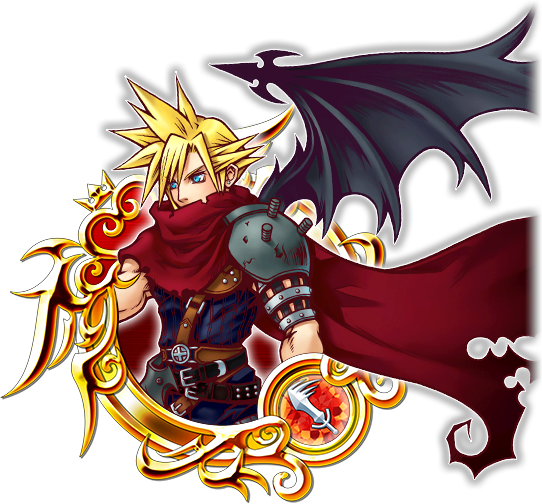 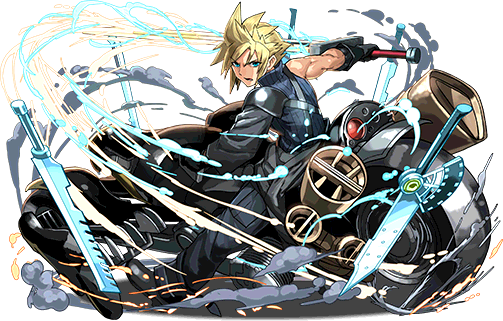 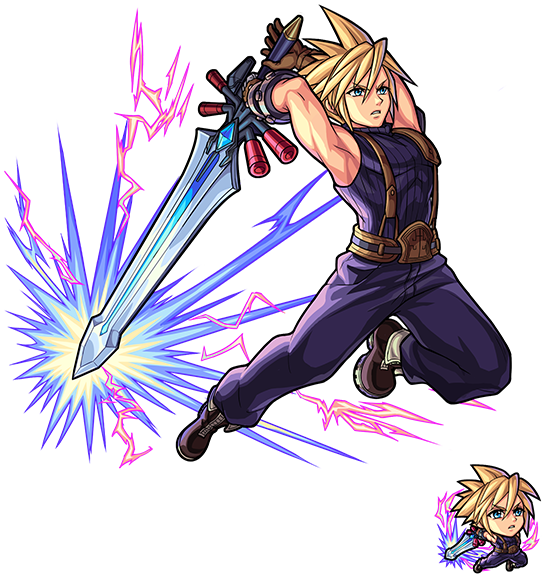 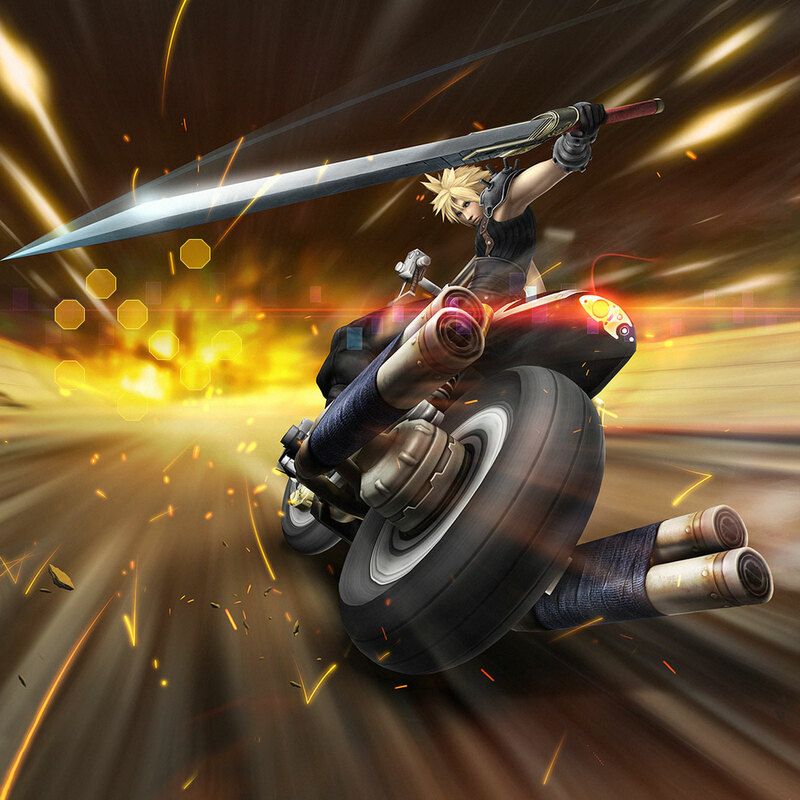 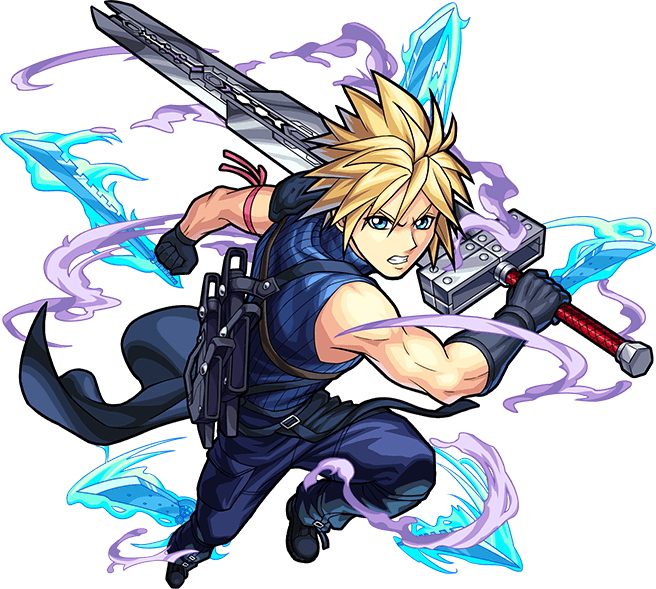 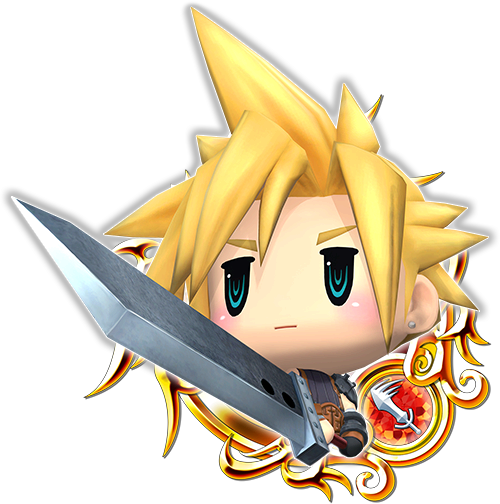 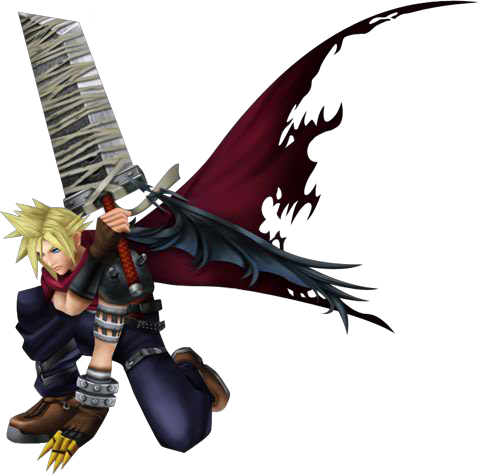 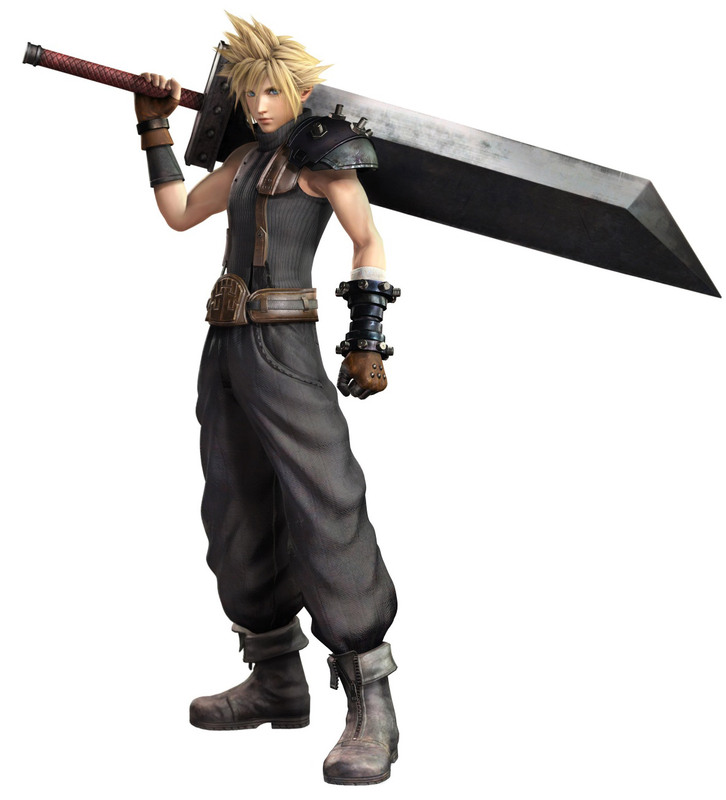 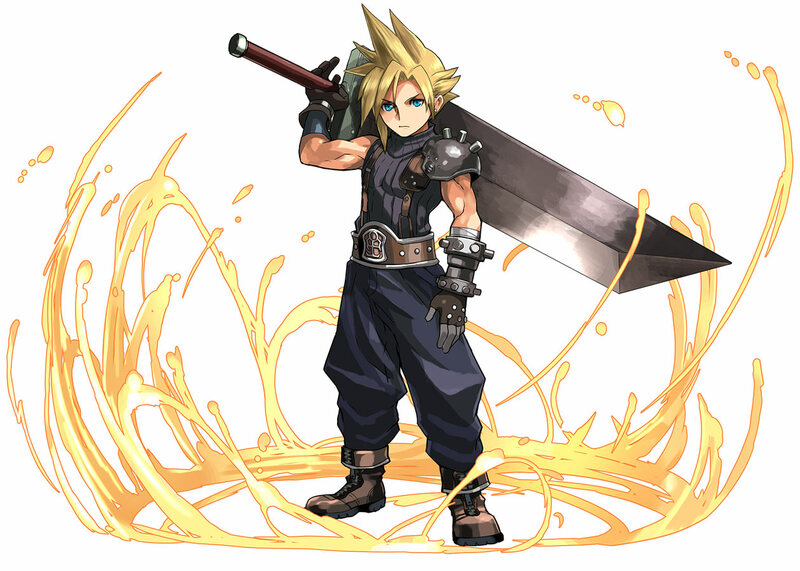 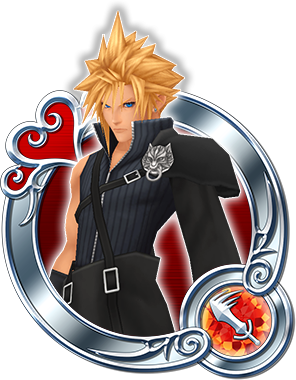 Besides Final Fantasy, Cloud also appears in a variety of crossovers titles, including: Kingdom Hearts, Kingdom Hearts 2, Itadaki Street, Puzzle & Dragons, Monster Strike, and Super Smash Brothers. 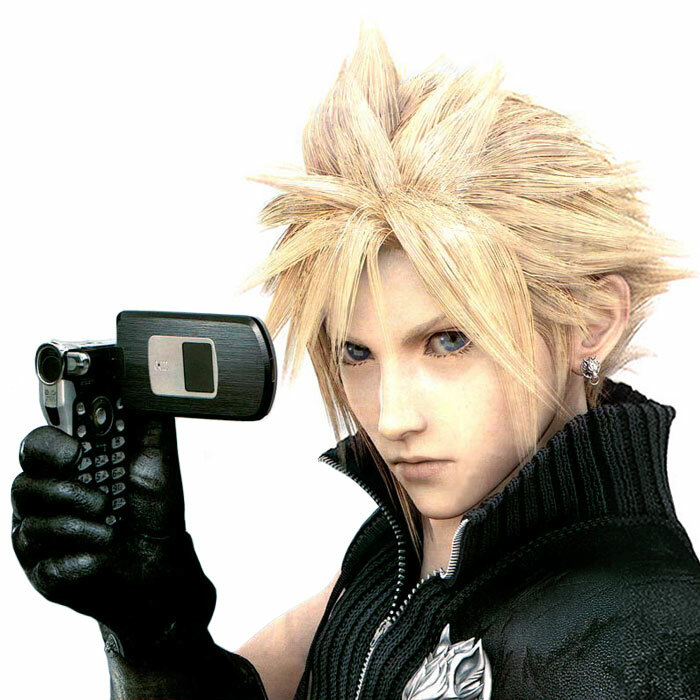 He is also the star of the motion picture, Final Fantasy: Advent Children. 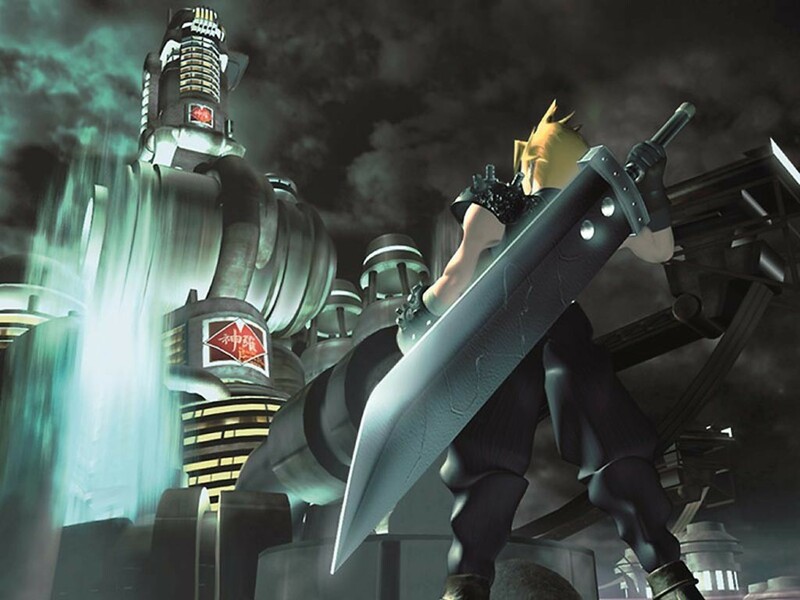 FFVII is one of my all time favorite games... such a moody, gritty, beautiful, and fun RPG. 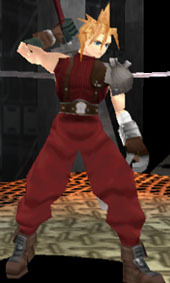 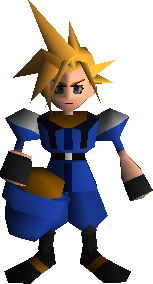 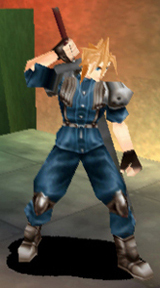 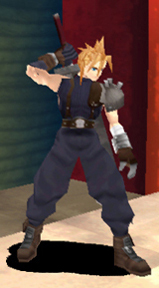 Naturally, I was ecstatic to see Cloud make his fighting game debut in Ehrgeiz in 1998. 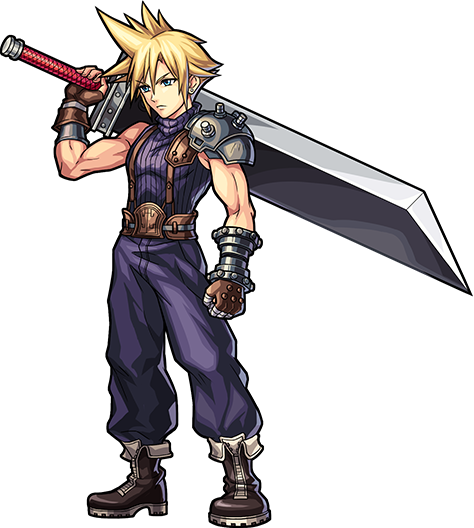 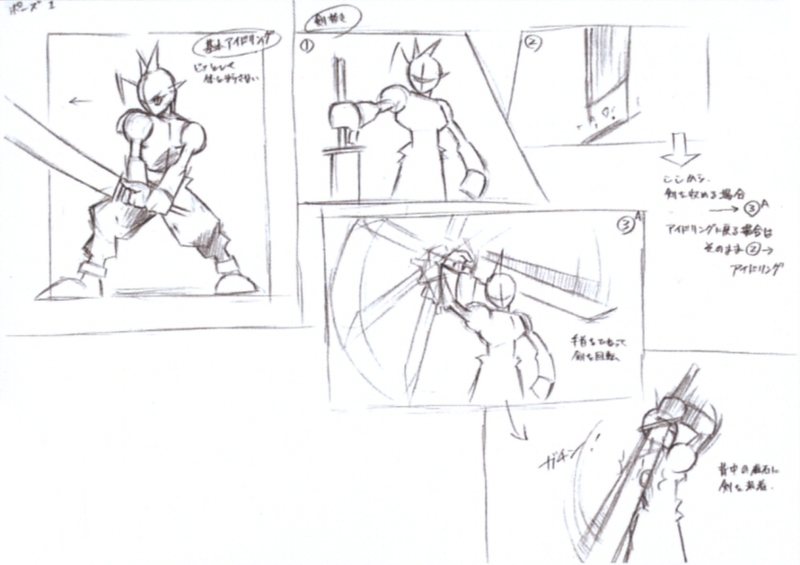 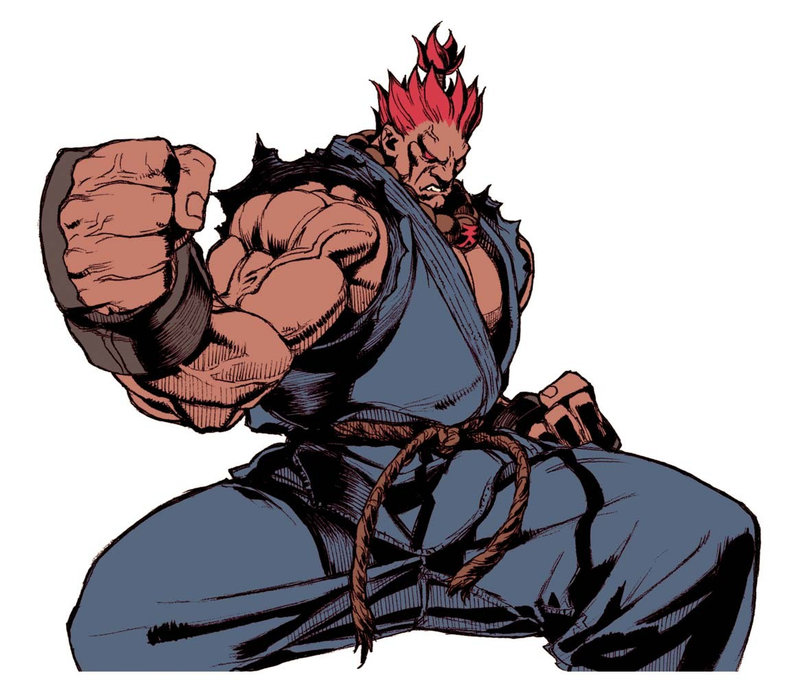 His fighting game debut could've been more fleshed out, but he at least retained his cool style, personality, and even a few of his badass sword techniques in Ehrgeiz. 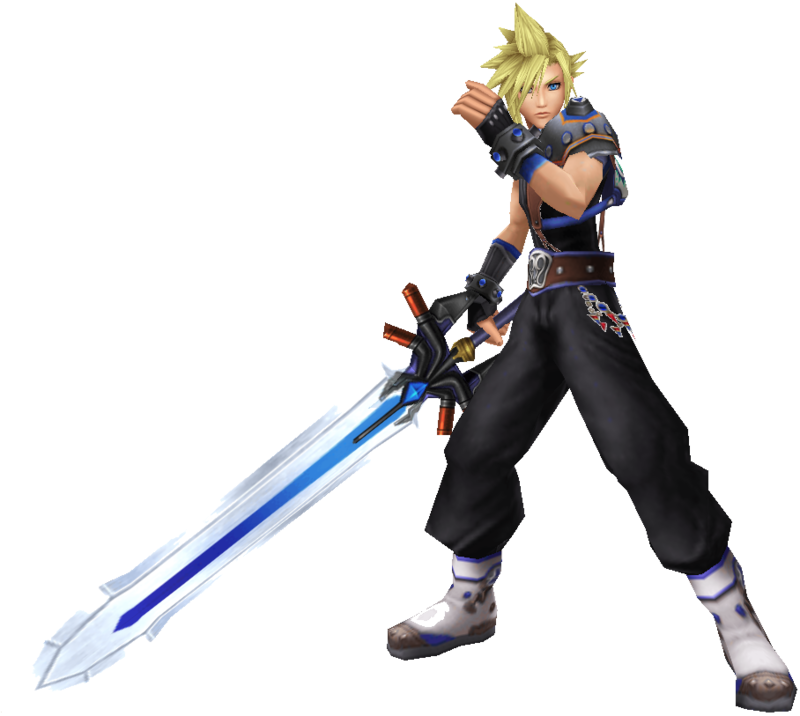 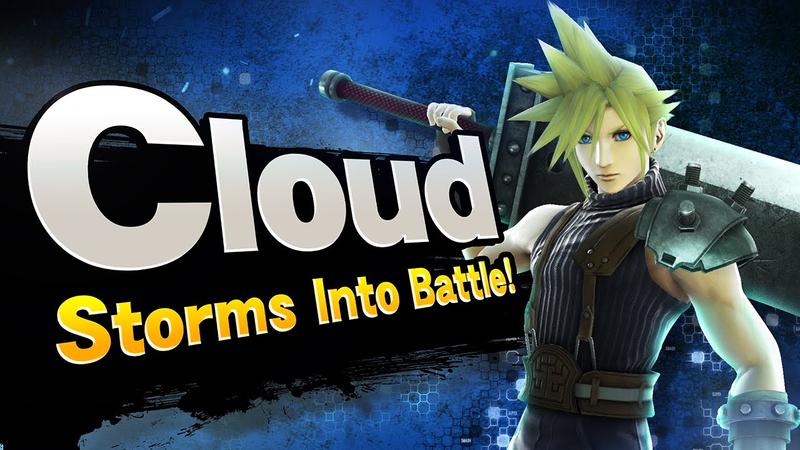 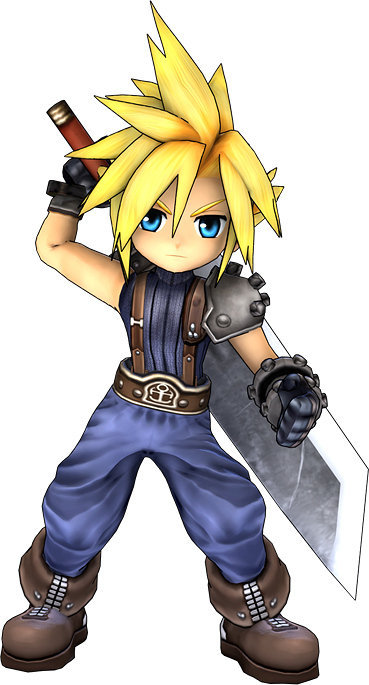 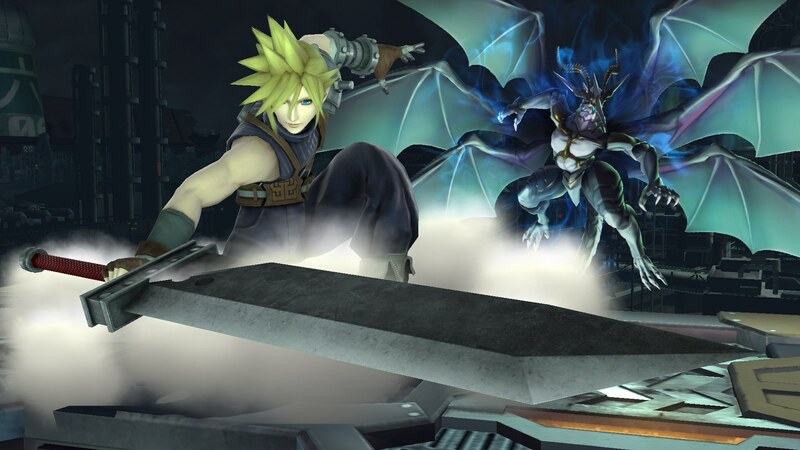 Cloud has also appeared in a ton of other games, most recently: Super Smash Bros. for Wii U. 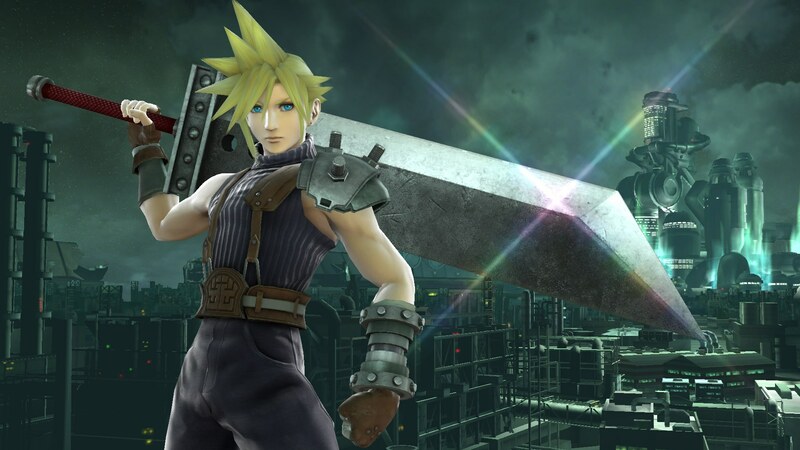 Even though Smash isn't a traditional fighter, I'm still glad to see Cloud mixing it up in the Nintendo world and getting the exposure he (and FFVII) deserves. 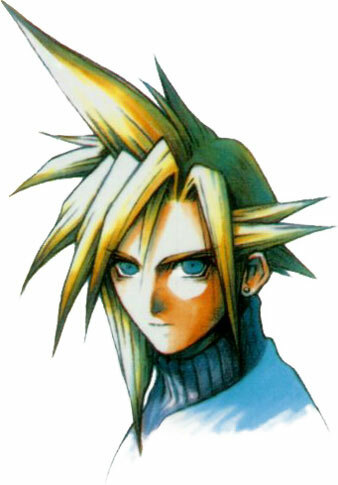 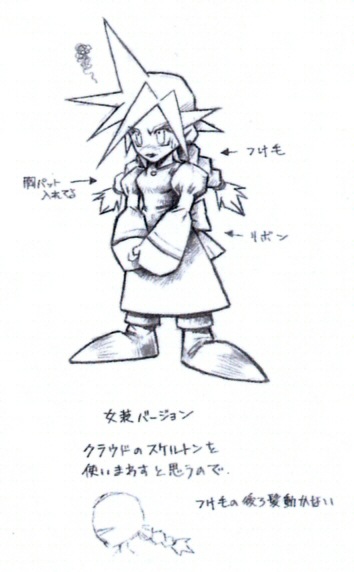 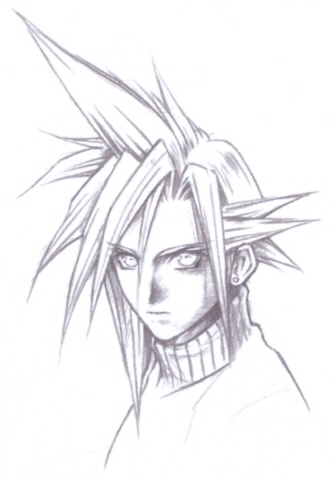 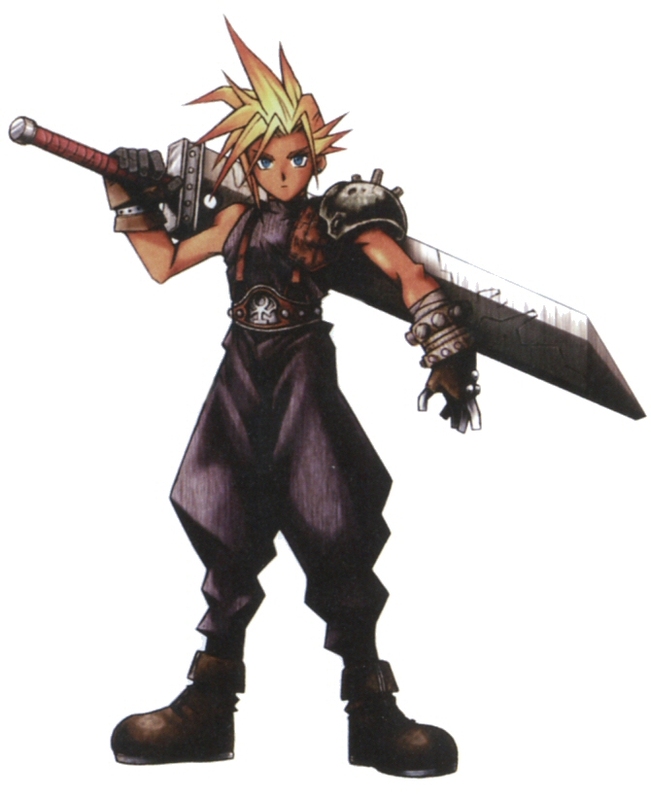 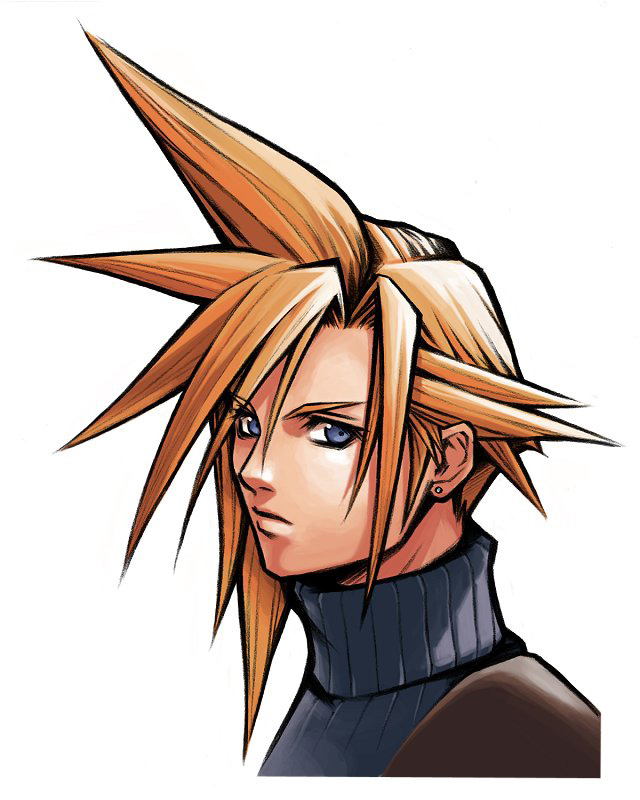 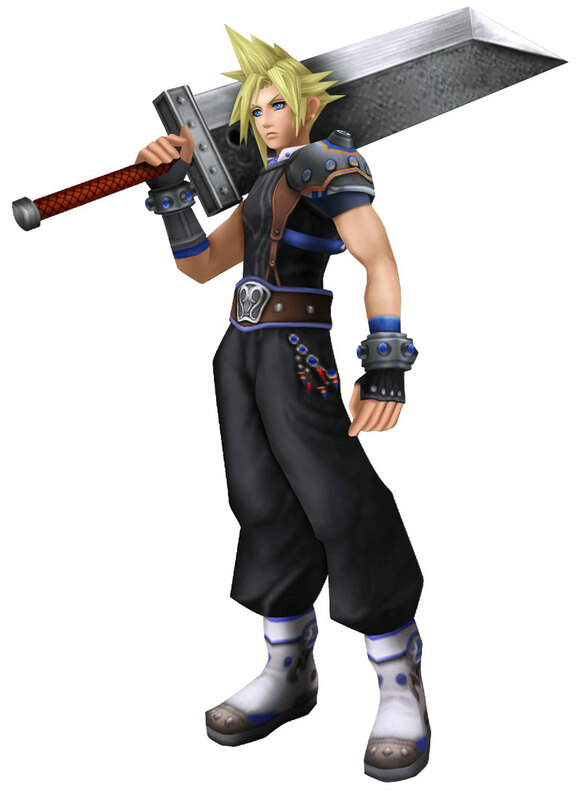 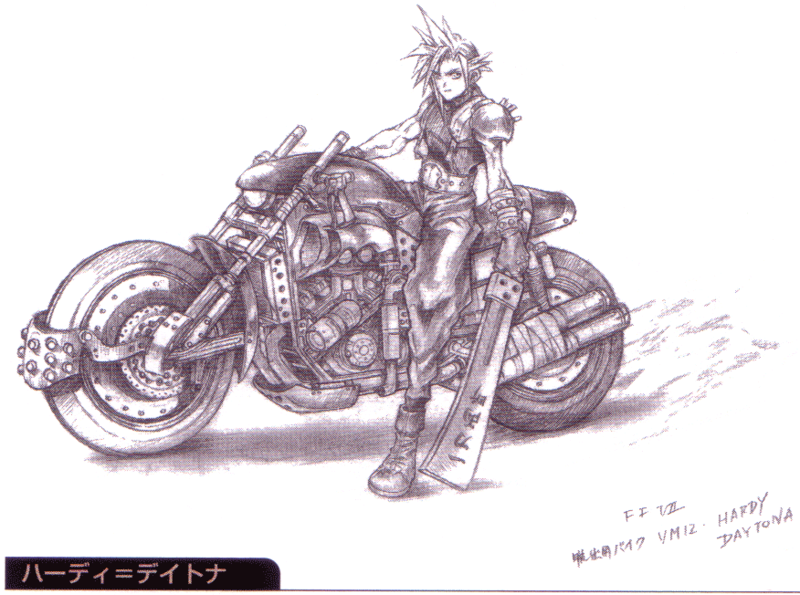 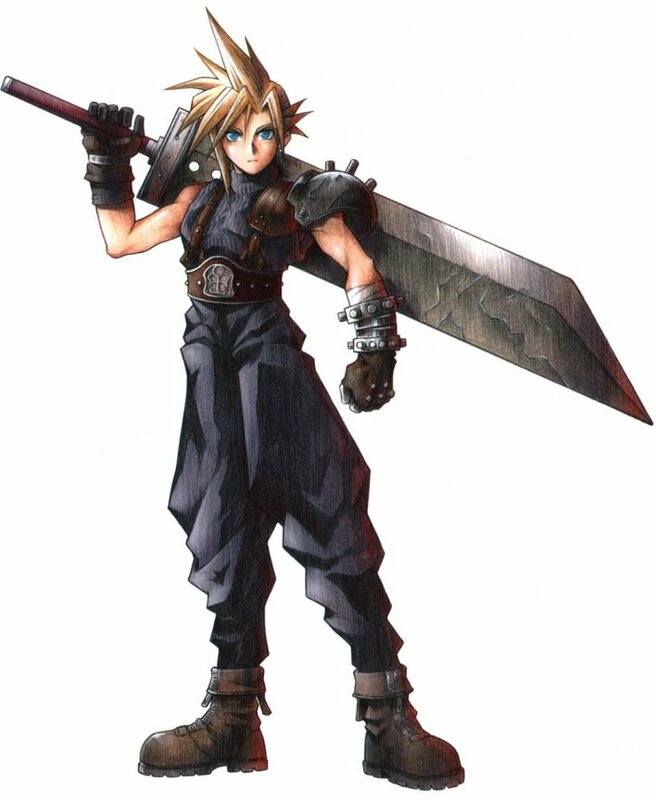 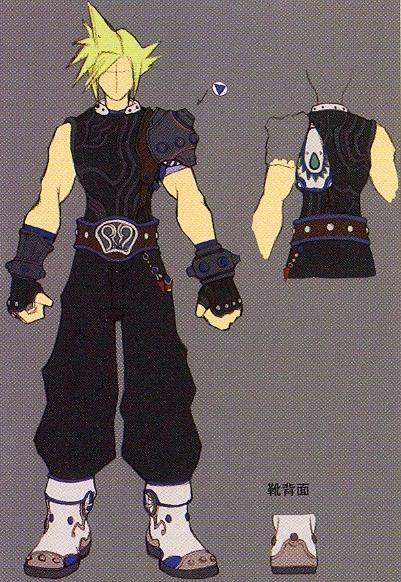 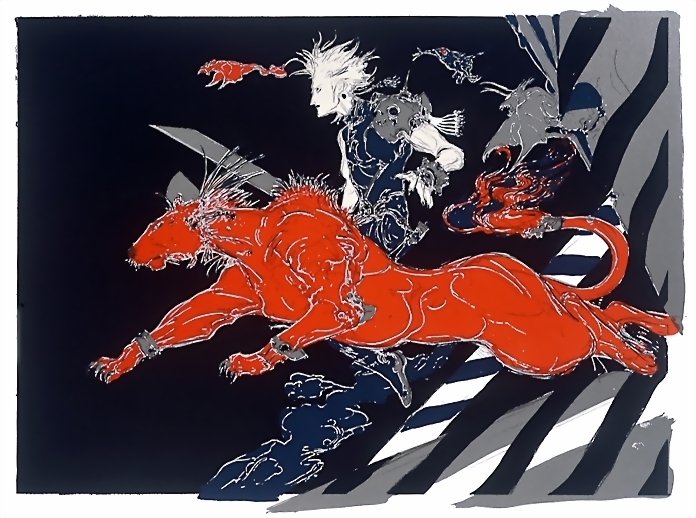 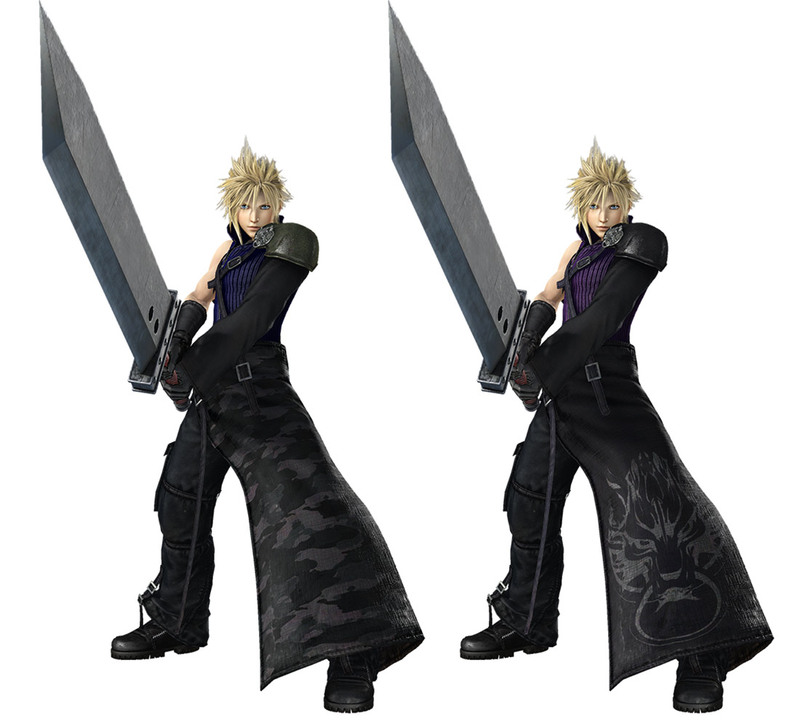 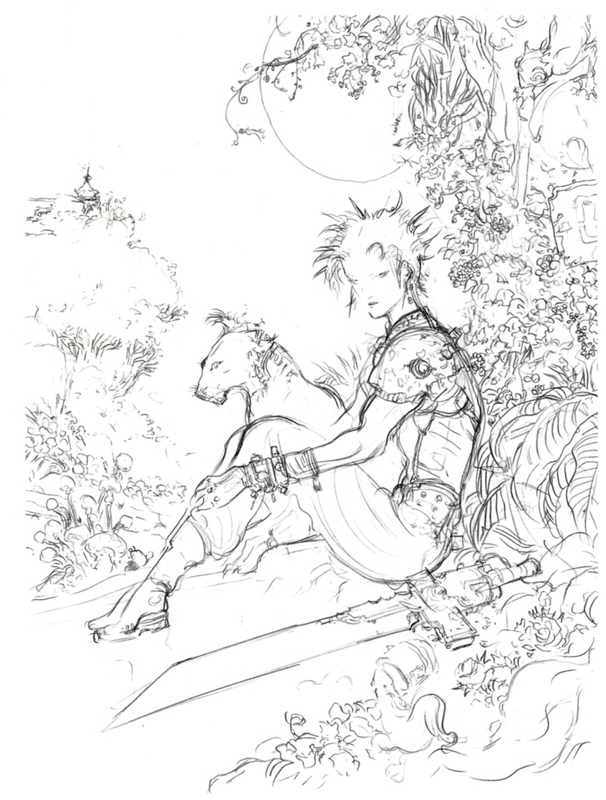 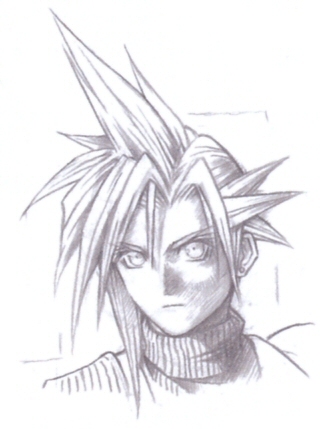 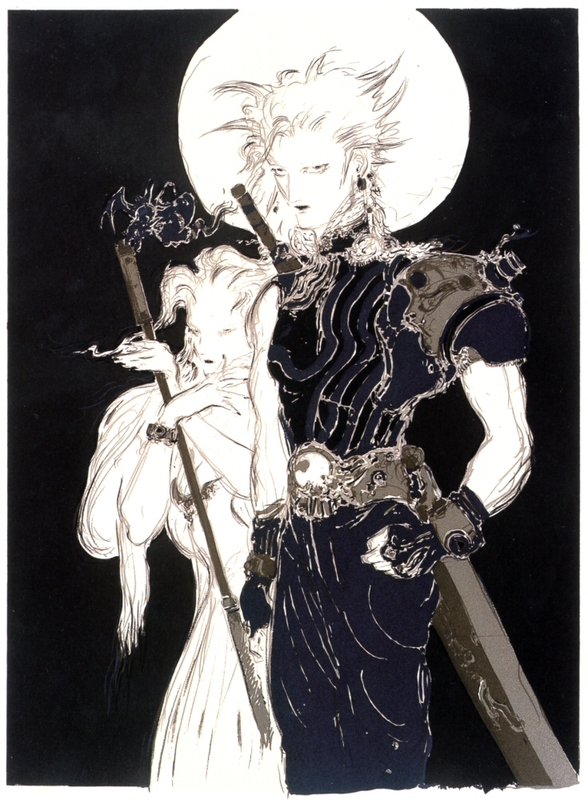 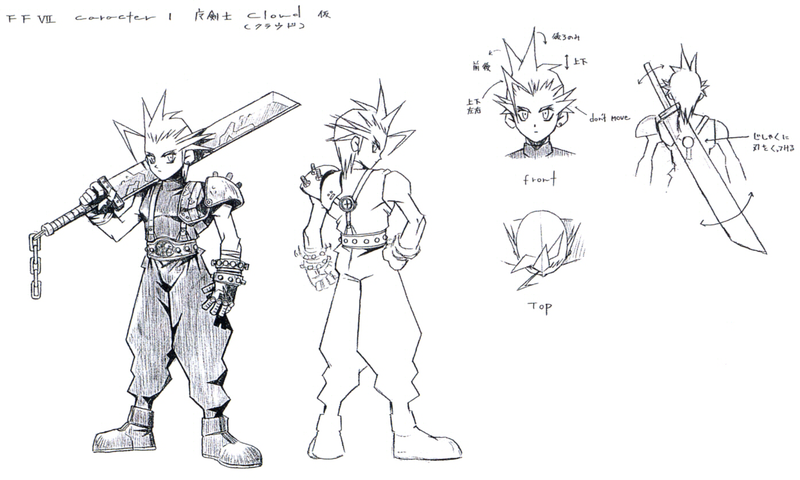 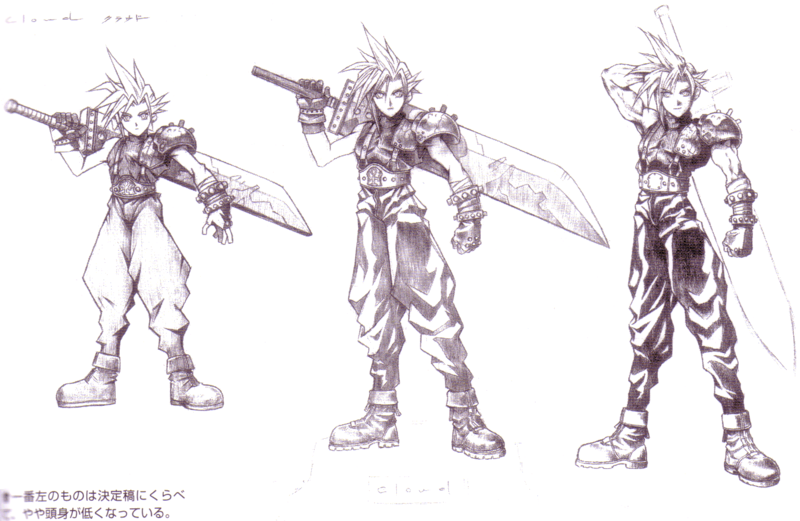 Cloud's original look is still my favorite, but some of his other Kingdom Hearts designs weren't bad either. 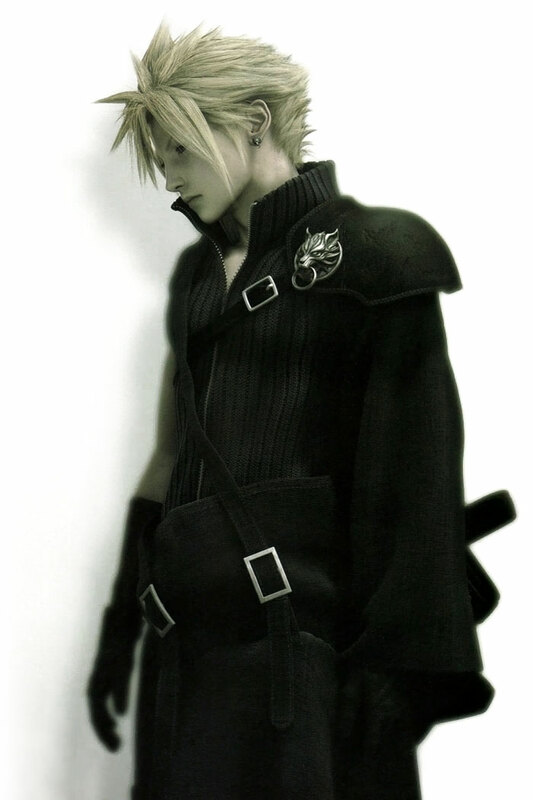 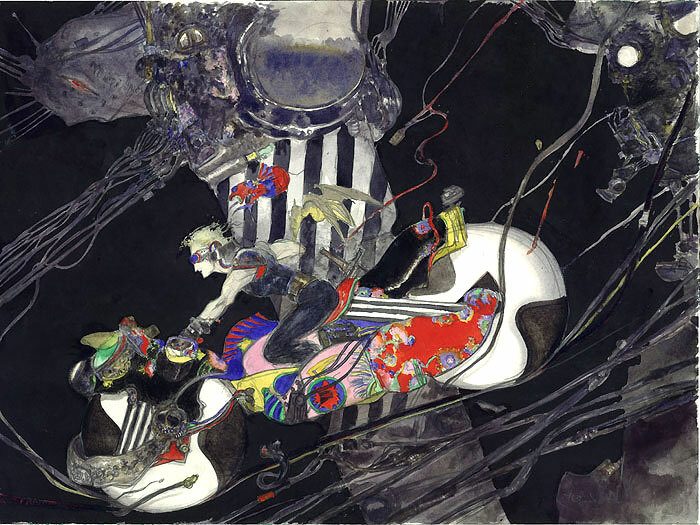 His starring role in Final Fantasy: Advent Children also took his design even further. 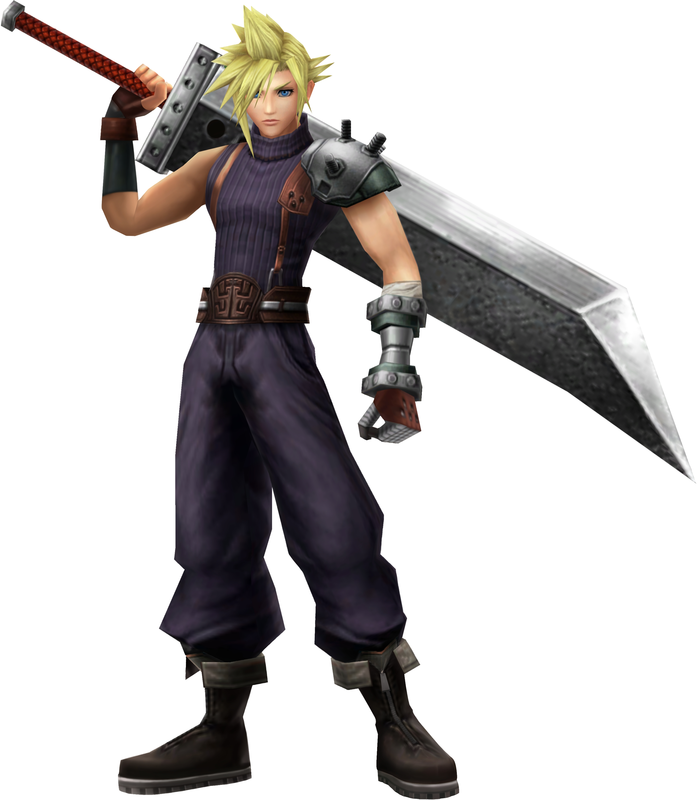 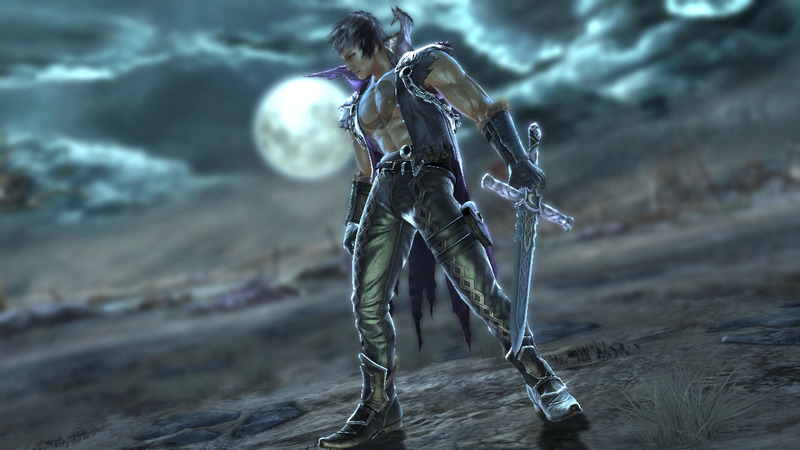 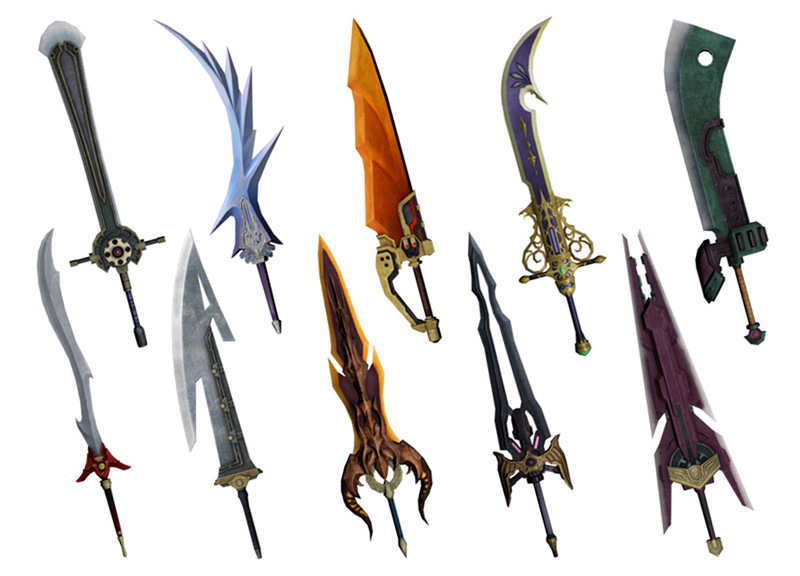 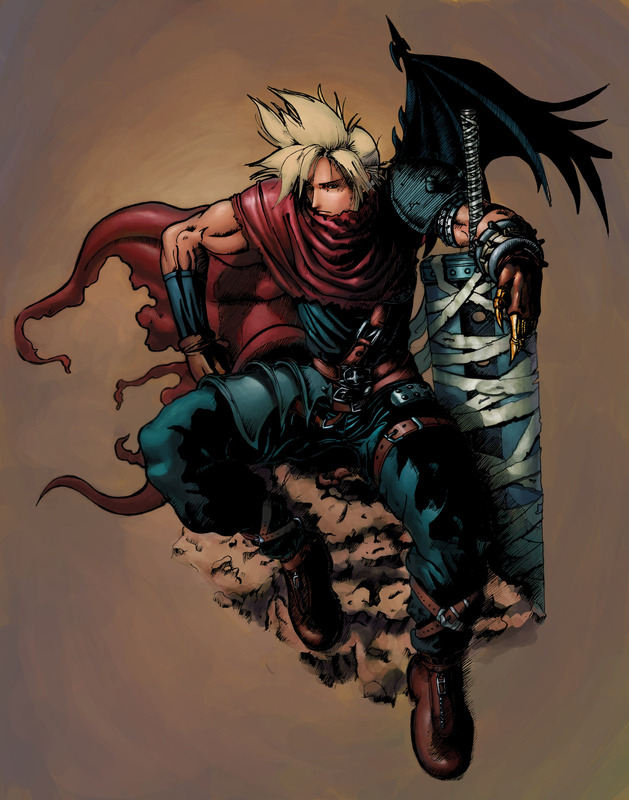 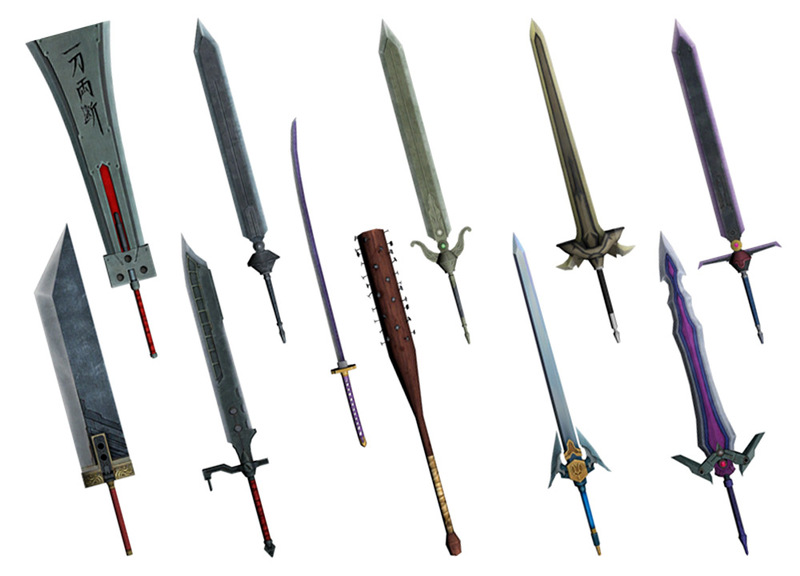 Even though Cloud has appeared in an impressive variety of games, I've still been waiting for the day that Namco brings Cloud to the Soul Calibur series... 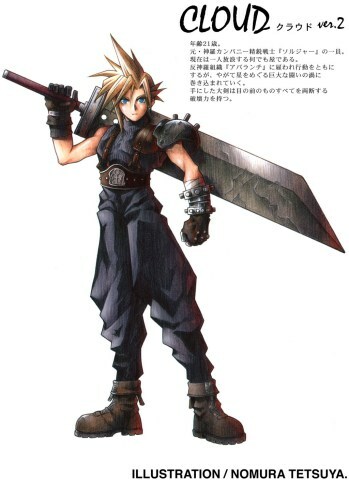 I'd love to see him (and Sephiroth) as guest fighters. 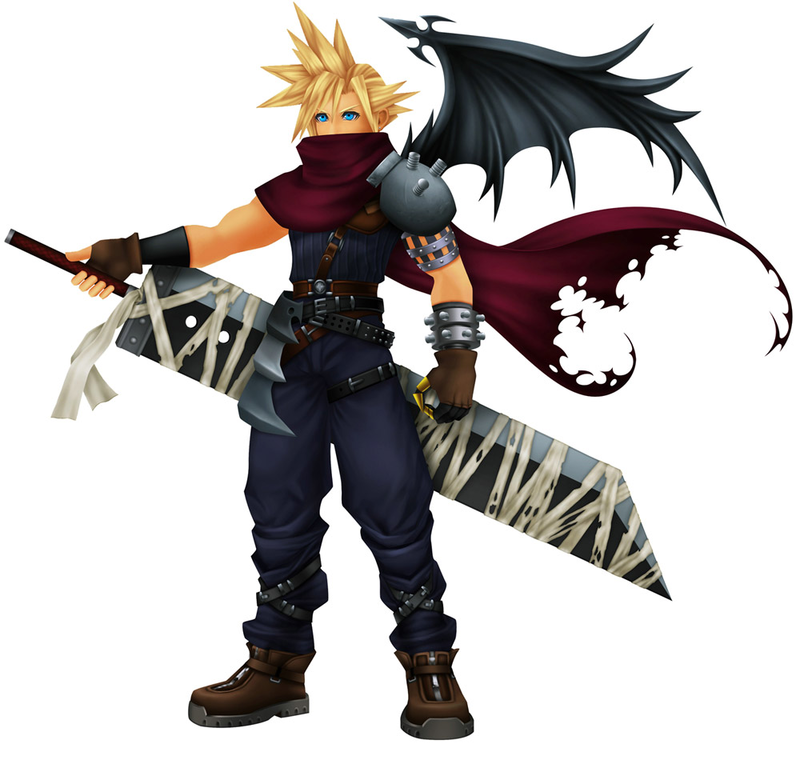 It probably should've happened already, but I won't lose hope. 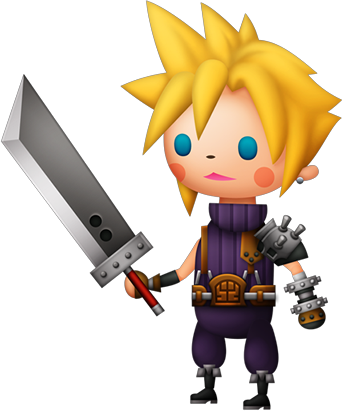 Let's go Cloudu.